This signature necklace features a combination of faceted London blue topaz teardrops, freshwater pearls and hand-made oxidized sterling silver Bali beads. 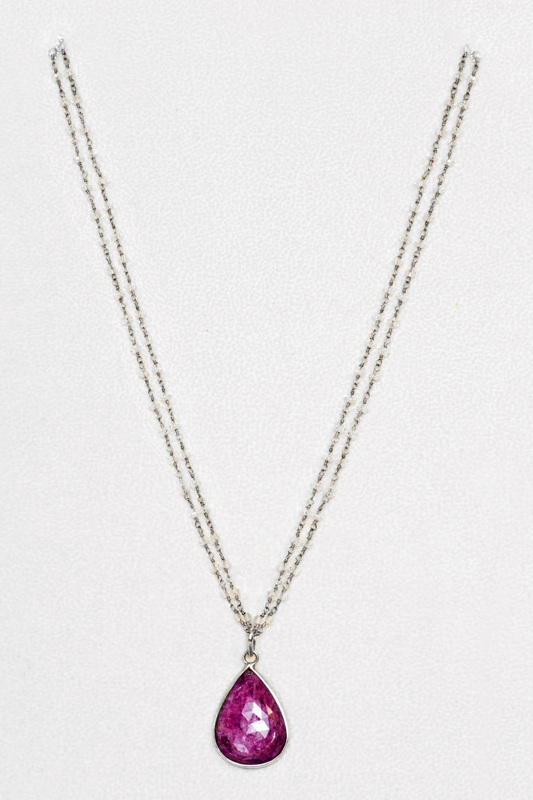 The topaz teardrops in the pendant dangle from oxidized sterling silver chain to create a cascading effect. Oxidized sterling silver toggle clasp. 19.75" in length. 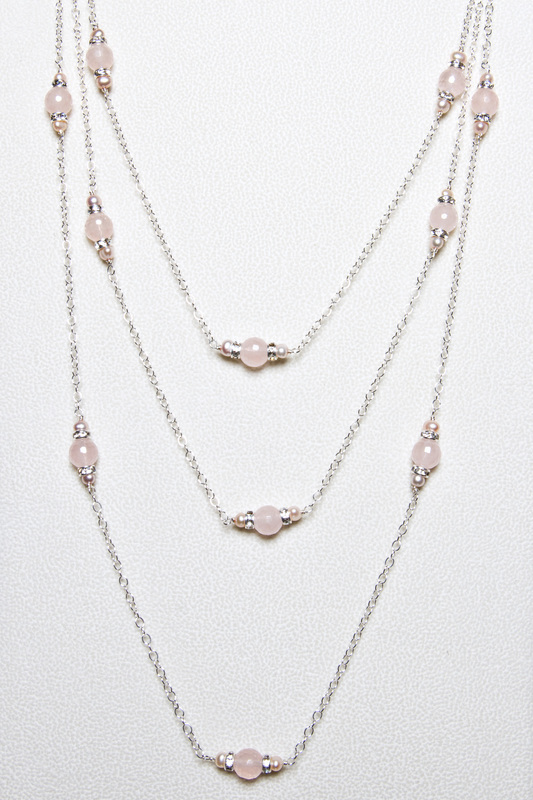 This necklace combines pink stick pearls, rose quartz and light pink fluorite rectangles for a soft and pretty look. Silver daisy spacers and tiny rondels with crystals add a touch of sparkle. The necklace is 21.75" in length; it is finished with a sterling silver lobster claw clasp. Turquoise rondels alternate with 14kt gold-filled stardust roundels to create a striking look. 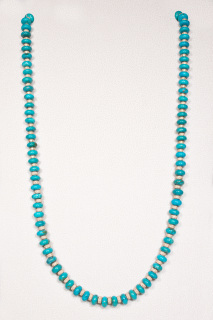 The turquoise beads are .375" in width; the necklace is 25" in length. Finished with a gold vermeil toggle clasp. 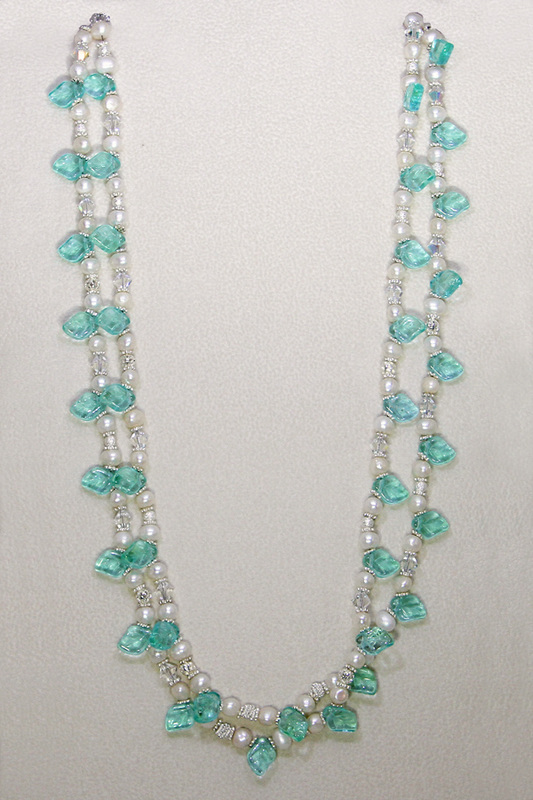 This double-strand necklace features smooth, oval aquamarine beads, which are spaced by aquamarine rondelles. The oval beads measure 10mm x 13mm and are consistent in size, Finished with a sterling silver toggle clasp. 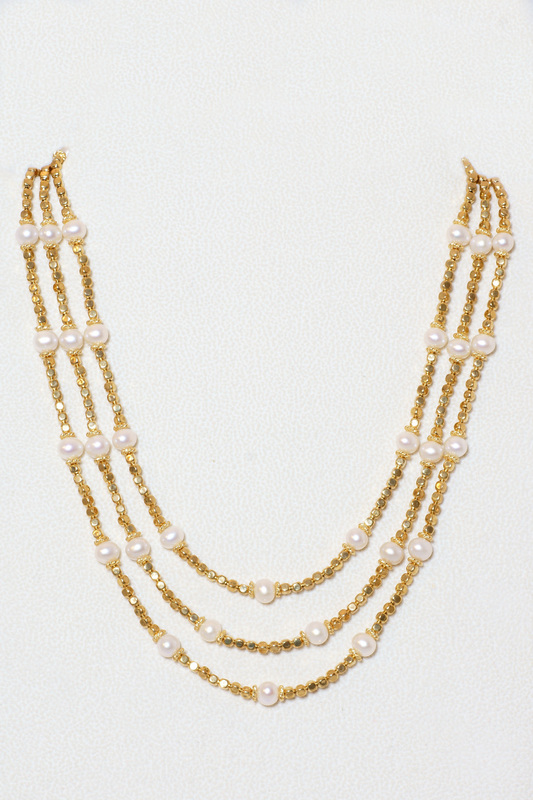 The longer necklace strand is 22.75" in length; the shorter strand is 21" in length. This signature necklace features a combinations of five different gemstones, including topaz peridot, citrine, amethyst and tourmaline. 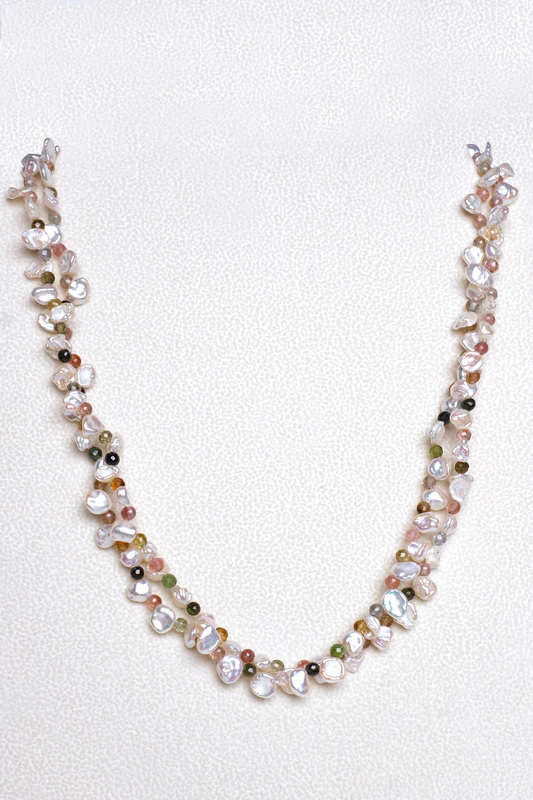 The faceted gemstones are spaced with a variety of 14kt gold-filled beads and freshwater pearls. 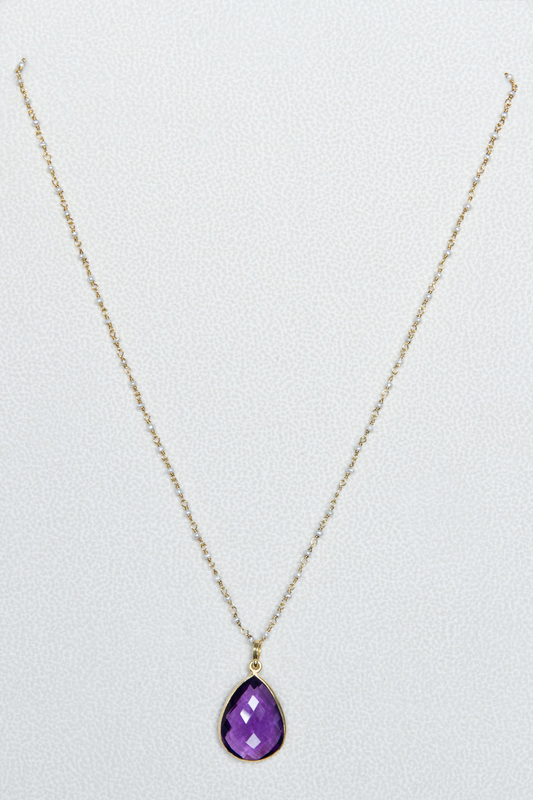 The faceted teardrops in the focal pendant are each suspended from a gold chain to create a cascading effect. 14kt gold-filled twist toggle clasp. 19.75" in length. 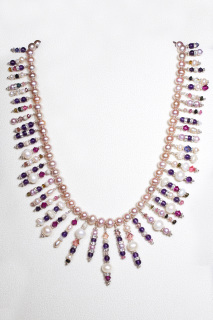 This triple-strand necklace features a fun-loving assortment of druzy beads, faceted pink amethyst, freshwater pearls and seed beads. The matte druzy beads have an iridescent finish with crevices of sparkly quartz. 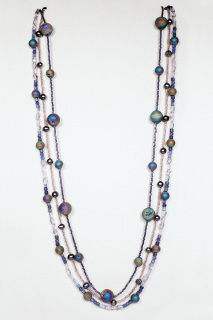 The strands range from 31" to 33" in length; The necklace is finished with a sterling silver lobster claw clasp. 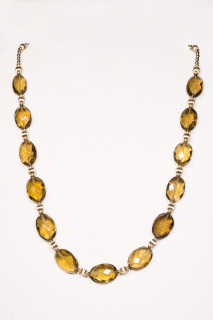 The faceted Brazilian whiskey topaz beads are oval-shaped with a rich gold color. 22kt g.p. 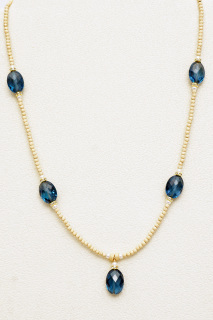 Bali beads enhance the topaz. Finished with a vermeil toggle clasp. 19.5" in length. 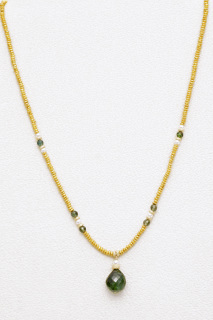 This delicate necklace combines faceted peridot teardrops with 14kt gold-filled stardust beads. It is finished with a 14kt gold-filled lobster claw clasp. 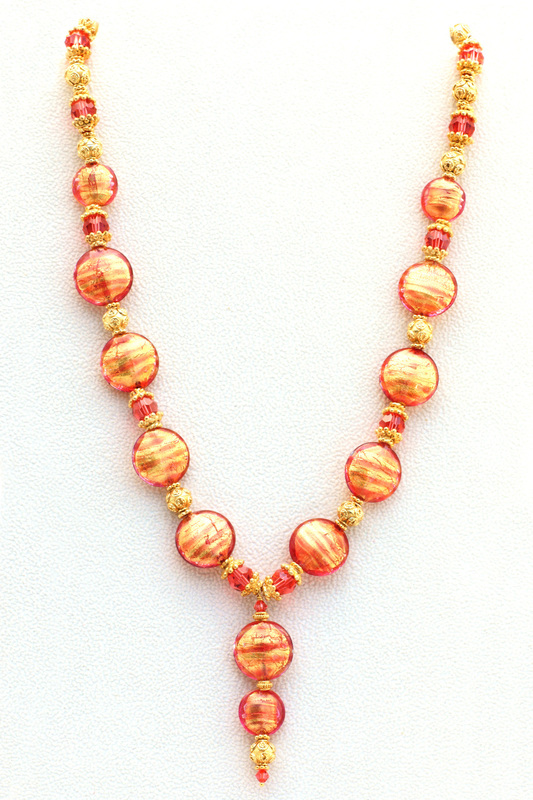 The cranberry colored Murano glass beads in the necklace alternate with 22kt g.p. filigree beads framed with hand-made 22kt. g.p. Bali beadcaps. Gold Swarovski crystal, rondelles and ornate 22kt g.p. Bali beads complete the design. 24kt vermeil twist toggle clasp. 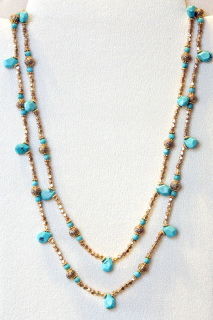 The necklace is 20" in length. The luminescent disc-shaped Murano glass beads are spaced with 22kt gold plated brushed nugget beads, Swarovski crystal and crystal rondelles. The round filigree beads are also 22kt g.p. Finished with an ornate vermeil toggle clasp. 21.25" in length. This designer necklace features freshwater pearls and faceted oval prehnite gemstones. 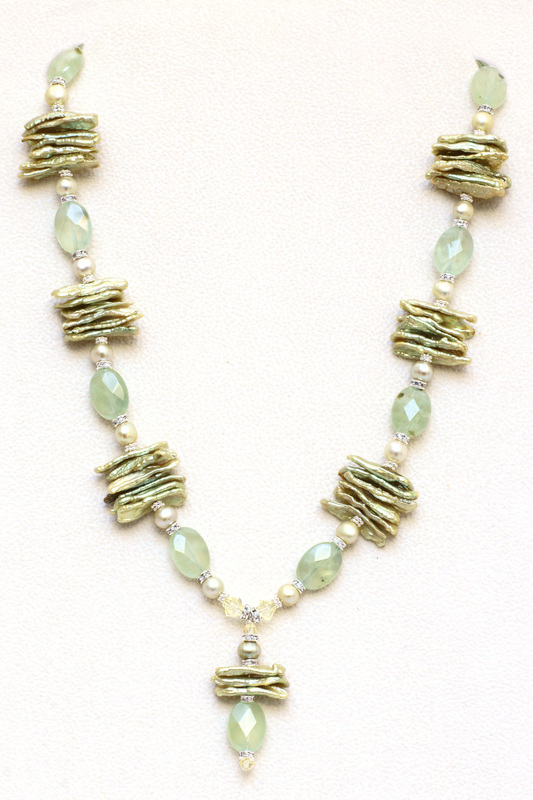 The center-drilled green stick pearls are framed with silver rondelles and soft green freshwater pearls. Swarovski crystals and a sterling silver toggle clasp complete the design. The necklace is 20.25" in length; the pendant is 1.5" long. 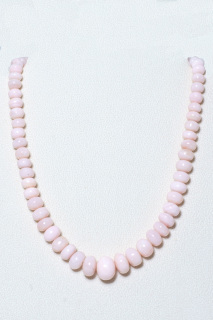 These soft pink Peruvian opal rondelles are graduated in length and very pretty in finish and color. 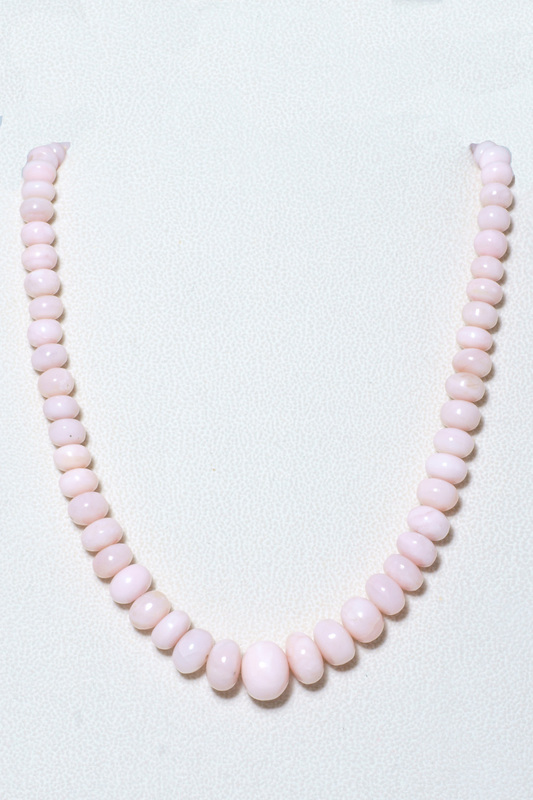 The opals range from 15mm (center bead) to 8mm in length. Finished with a sterling silver toggle clasp. 18.5" in length. 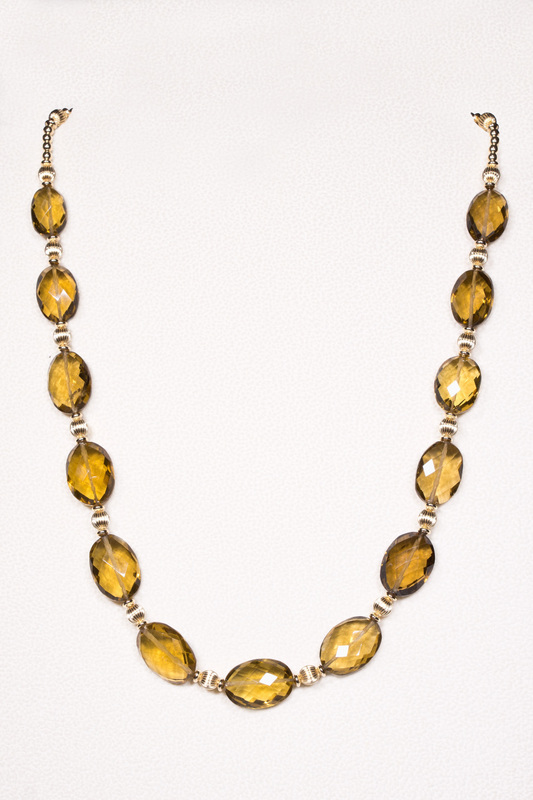 These faceted whiskey topaz nuggets have wonderful clarity with a deep golden-brown honey color. The necklace features 13 topaz gemstones that each measure approximately 3/4" long and 1/2" wide. 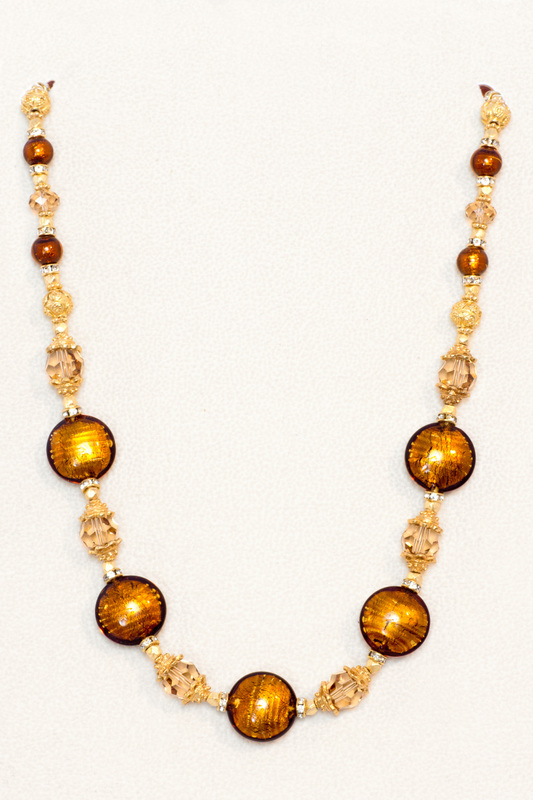 The topaz is accented with 14kt gold-filled corrugated beads and rondels. 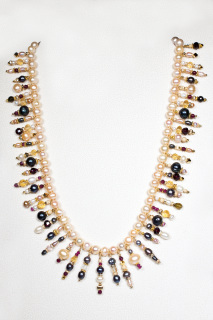 The necklace is 19.5" in length; it is finished wit a 14kt gold-filled lobste claw clasp. 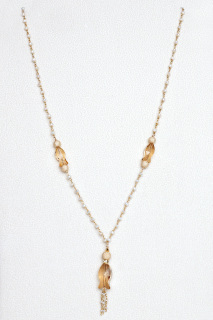 Clusters of tiny freshwater pearls dangle from a vermeil chain. 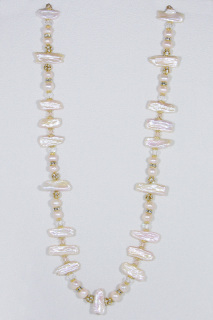 The pendant is a grouping of three larger freshwater pearls enhanced with rondelles, Swarovski crystals and 14kt gold-filed beads. 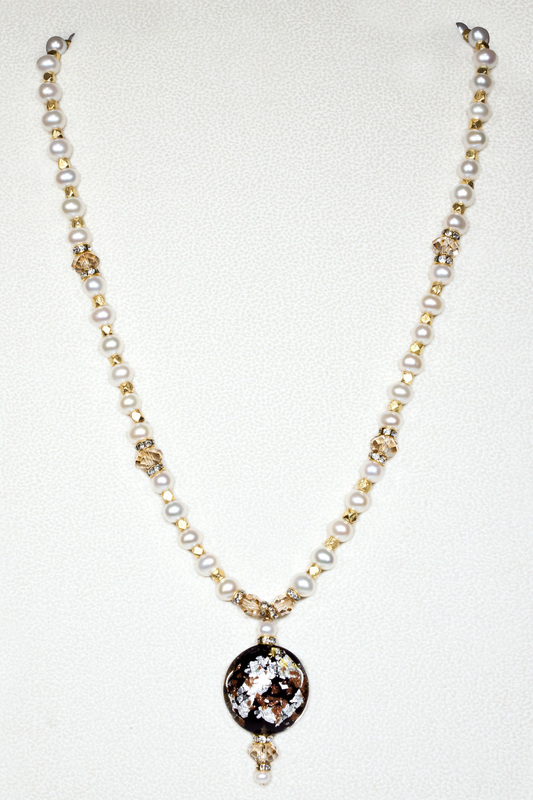 Each center pearl in the pendant dangles from a vermeil and pearl chain. 14kt gold-filled toggle clasp. 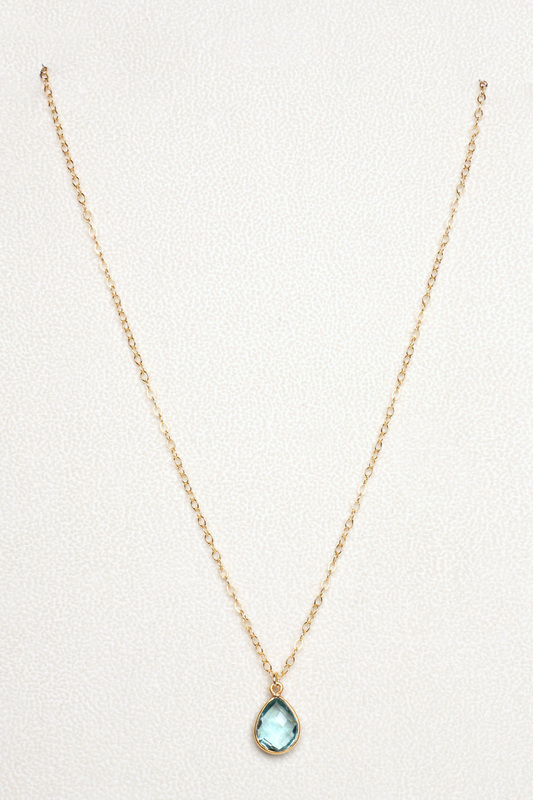 The necklace is 20.5" in length, the pendant is 1.75" in length. The 24kt. 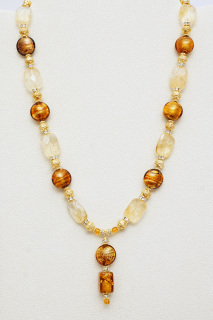 gold foil lining in these Murano glass beads creates a rich luminous glow. 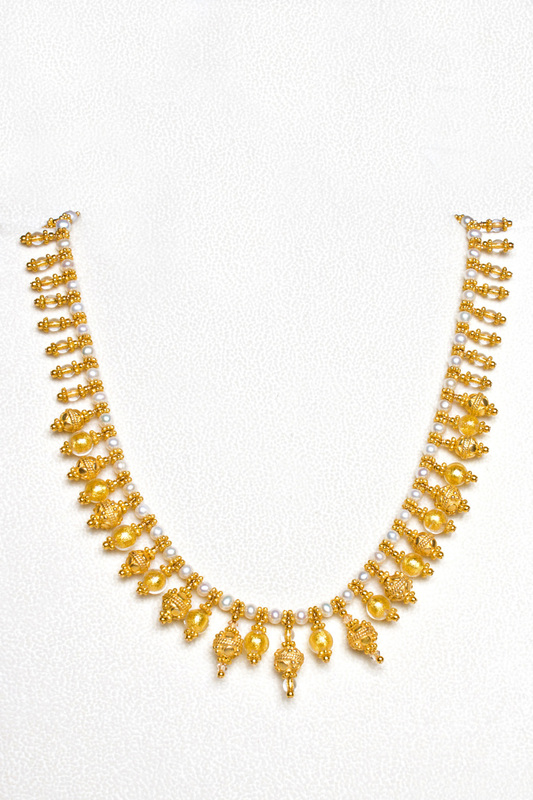 The disc-shaped beads alternate with 24kt g.p. Bali beads and Swarovski crystal. 14kt gold-fillled toggle clasp. 19.75" in length. 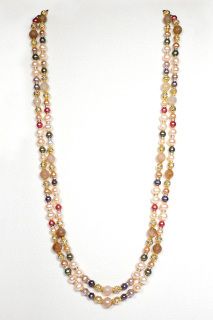 This necklace features soft peach petal pearls accented with 14kt g.f. stardust rondelles and microfaceted round citrines. The faceted dark gold tourmaline heart bead in the pendant is paired with a microfaceted citrine rondelle and dark gold round tourmaline. Finished with a 14kt. g.f. twist toggle clasp. 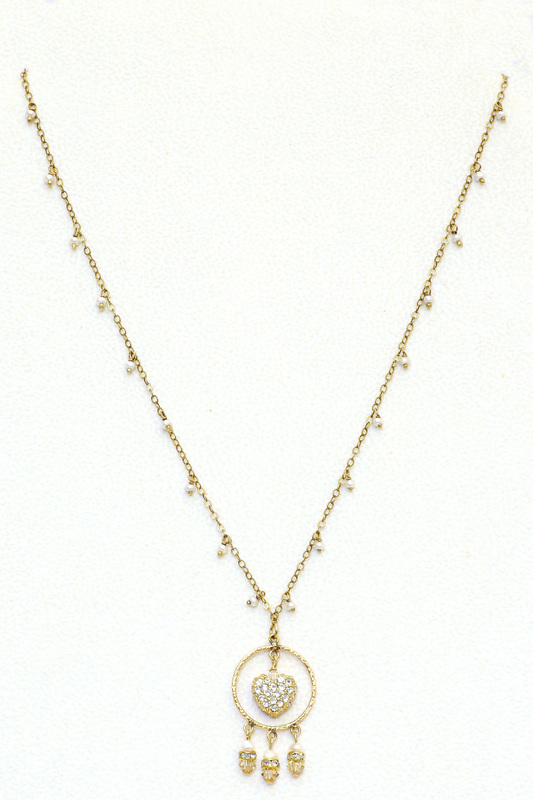 The necklace is 19" in length; the pendant is 1" long. 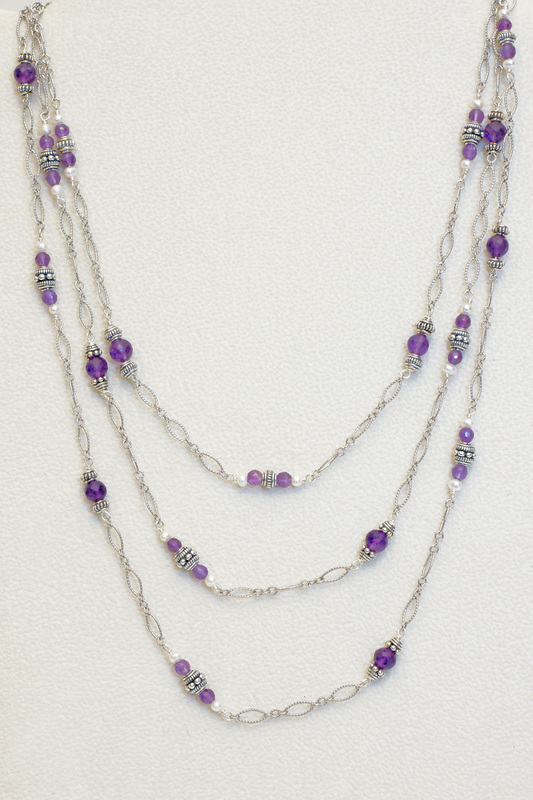 This sterling silver filigree necklace contains 27 stations of faceted amethyst beads, sterling silver Bali beads and freshwater pearls. 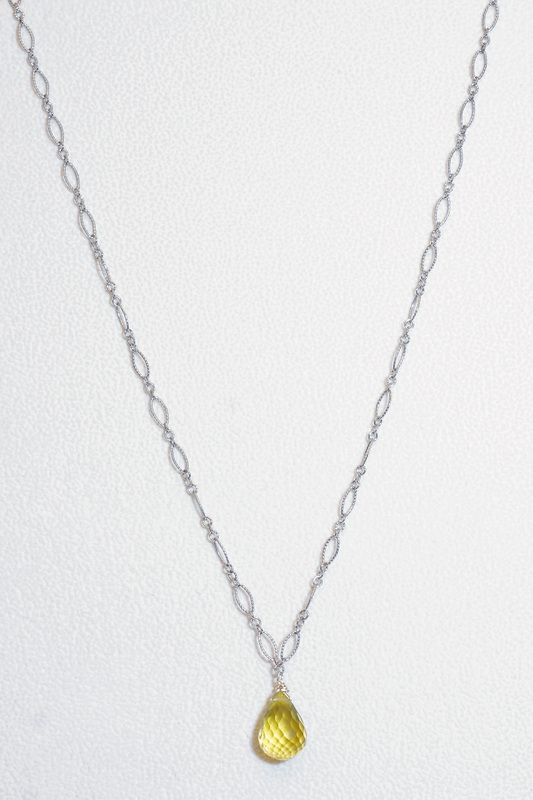 The necklace is one continuous line that can be worn as a double or triple strand. Sterling silver lobster claw clasp. 59” in length. 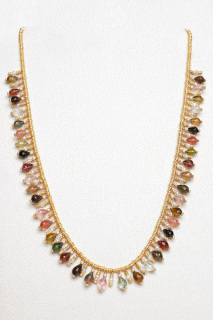 This 54" necklace can be worn as two or three strands. 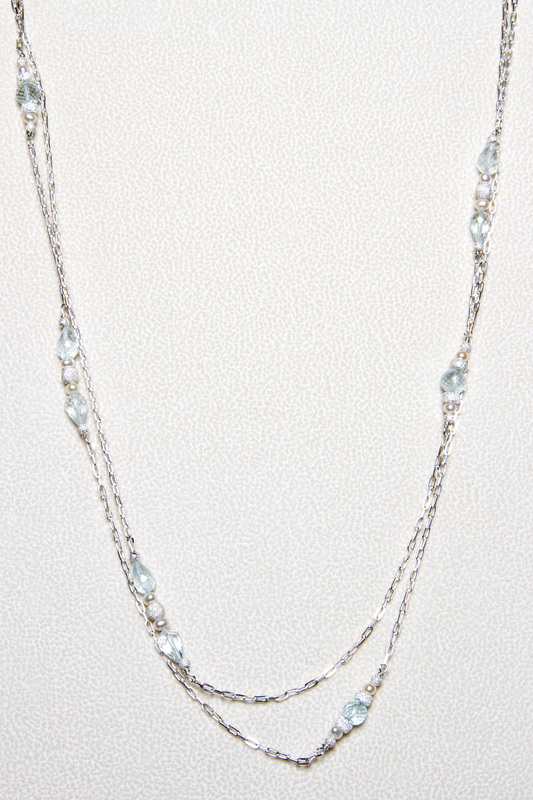 Sterling silver chain links stations of faceted aquamarine beads framed with sterling silver stardust beads and freshwater pearls. Sterling silver lobster claw clasp. This necklace features a faceted blue topaz teardrop in a vermeil bezel. 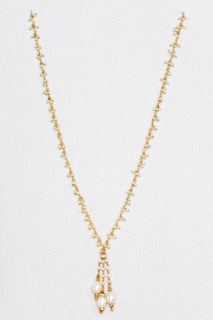 The 14kt-gold-filled cable chain necklace is 18" in length. 14kt gold-filled lobster claw clasp. This 9mm micro-faceted aquamarine is enhanced with an ornate 22kt gold-plated beadcap. The chain and lobster claw clasp are 14kt gold-filled. 17.75" in length. Freshwater pearls in hues of white, peach and lavender are framed with crystal rondelles and linked with 14kt gold-filled stardust beads. Each strand is a separate necklace, available in six lengths; 25", 26.75", 28.75", 30.5", 32.25", 34". 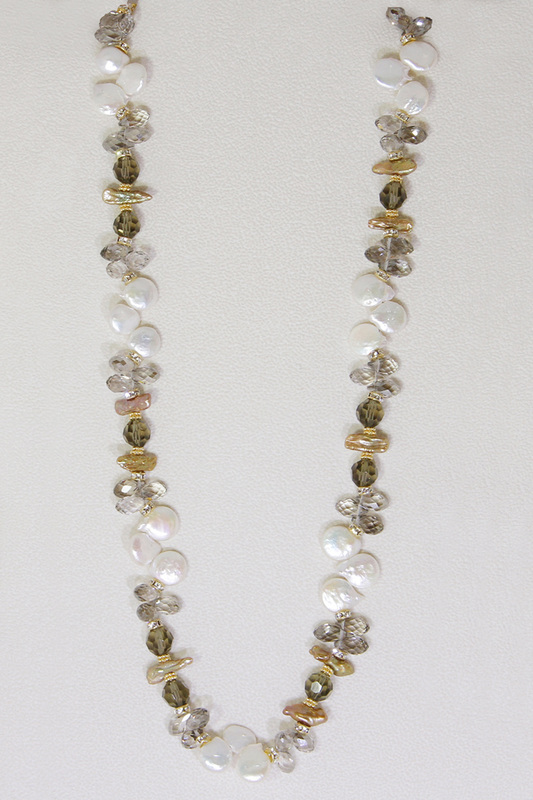 Priced from $205-229 per strand. Finished with a 14kt g.f. lobster claw clasp. 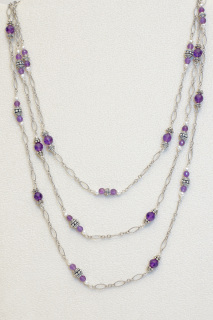 This contemporary designer necklace features a large amethyst & Bali bead pendant. 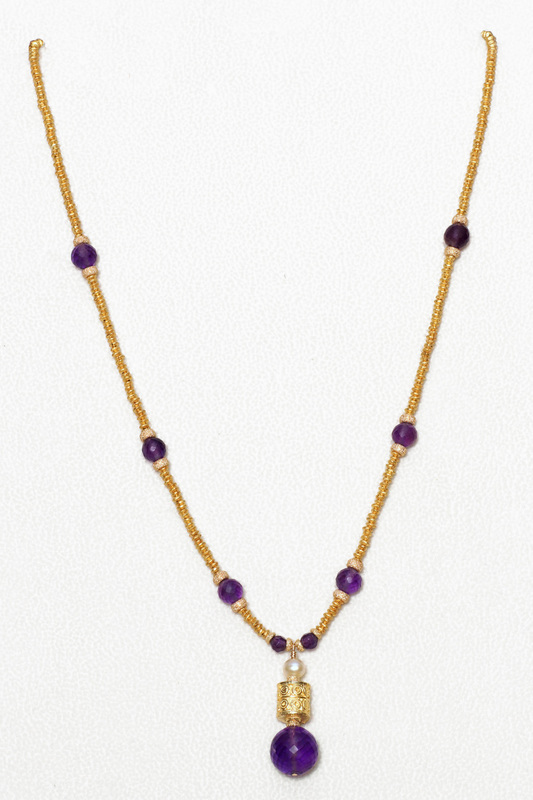 The amethysts in the necklace are enhanced with 14kt g.f. stardust rondelles and linked with 22kt. g.p. beads with a brushed finish. 14kt g.f. lobster claw clasp. 19.5" in length. 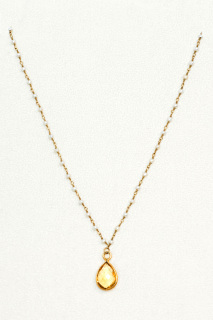 This light-hearted necklace features 14kt. g.f. butterfly charms and 24kt g.p. Swarovski crystals. 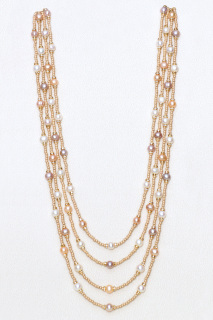 Perfect worn alone or layered with other necklaces. Finished with a 14kt g.f. toggle clasp. 21.75" in length. 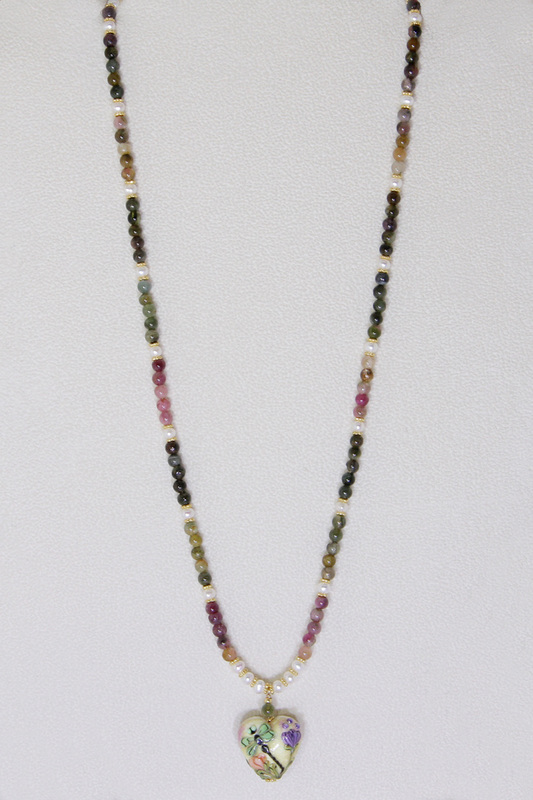 The grossular garnets in this necklace are grouped by color and accented with 14kt. 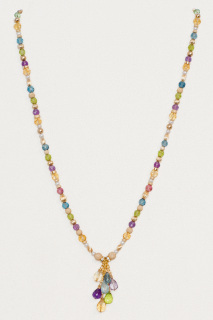 g.f. stardust beads. The garnet teardrops are graduated in size and range from 9mm to 6mm in length. 14kt g.f. lobster claw clasp. 19.25" in length. The focal bead in this necklace is a faceted heart-shaped ruby. 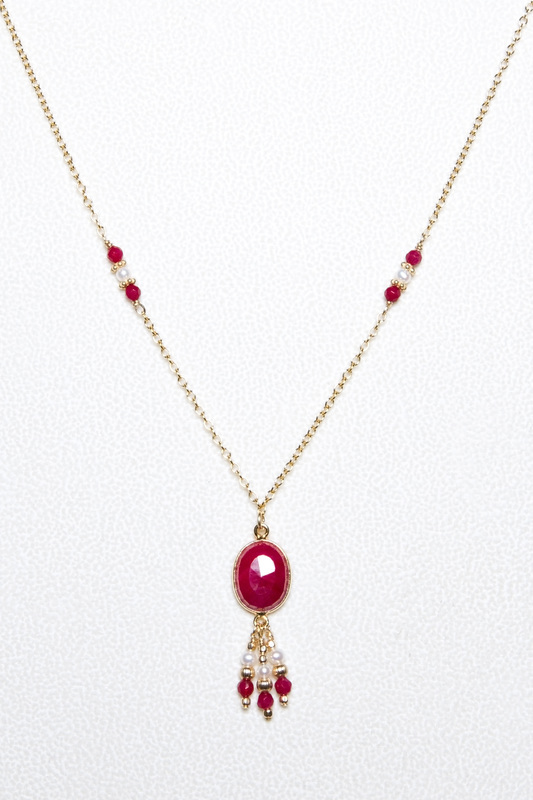 Smaller faceted rubies and freshwater pearls have been set into the necklace, which consists of 22kt gold-plated brushed rondels. 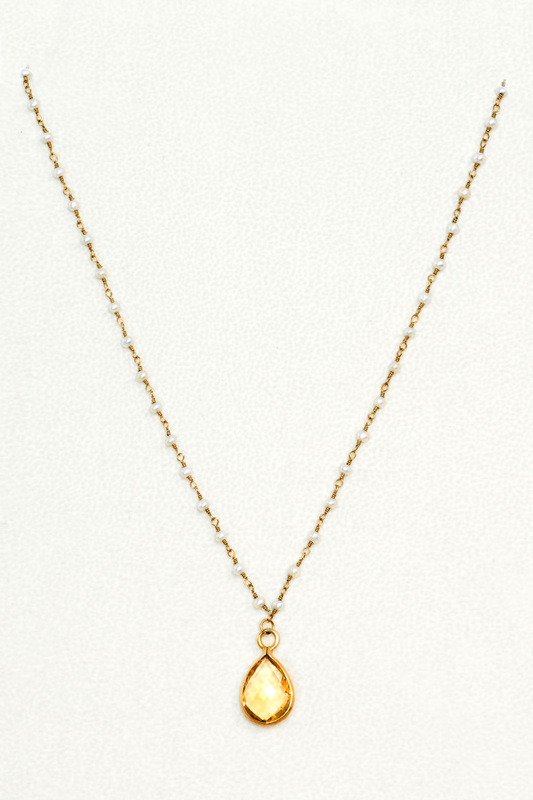 The 19" necklace is finished with a 14kt gold-filled lobster claw clasp. 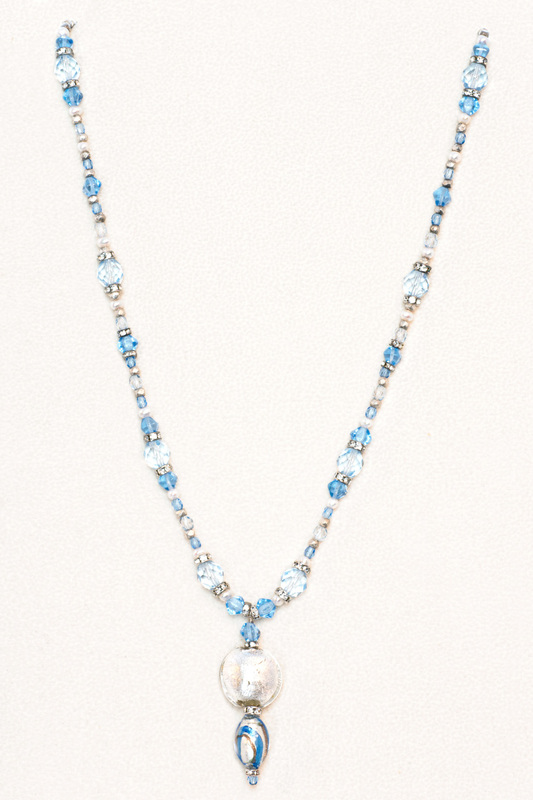 The silver-lined Murano glass beads in the focal pendant are accented with crystal rondellles. 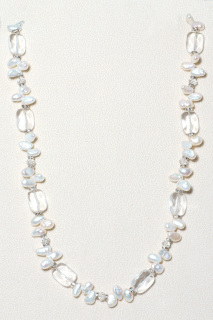 The necklace features Czech crystal, freshwater pearls and brushed silver beads. Sterling silver toggle clasp. 20" in length. 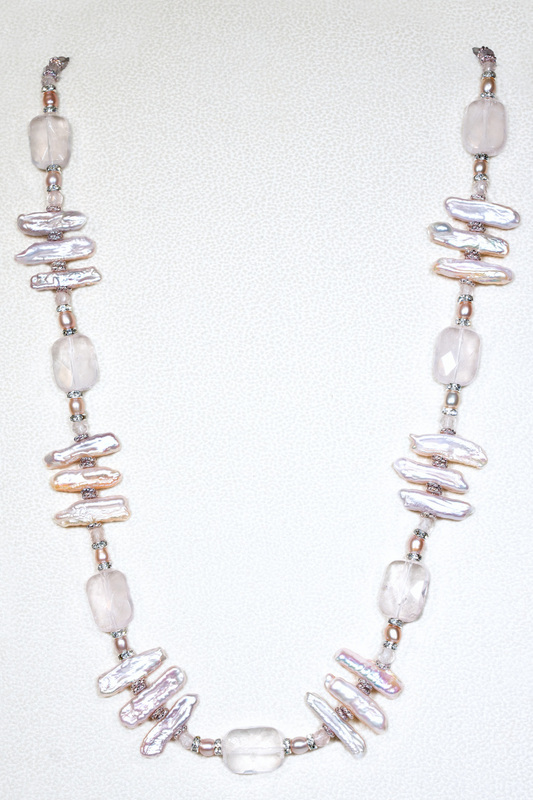 The silver lining in these Murano glass beads creates a rich luminous glow. 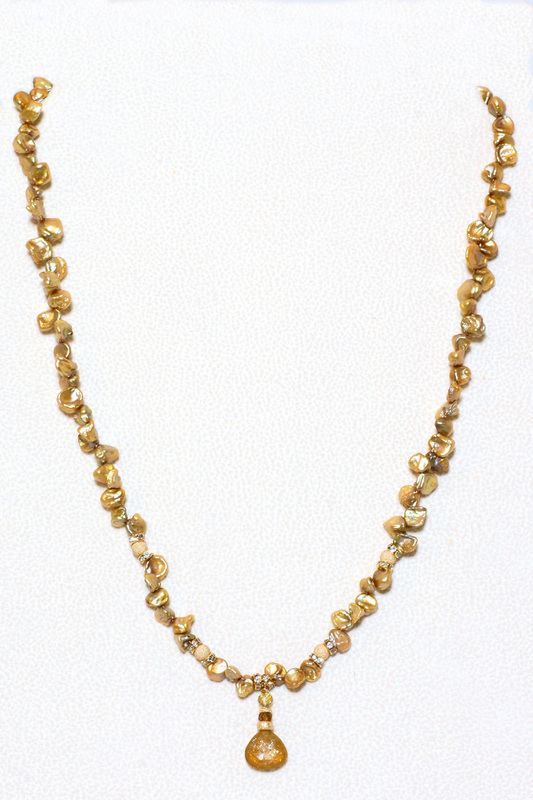 The disc-shaped beads alternate with 24kt g.p. Bali beads and Swarovski crystal. 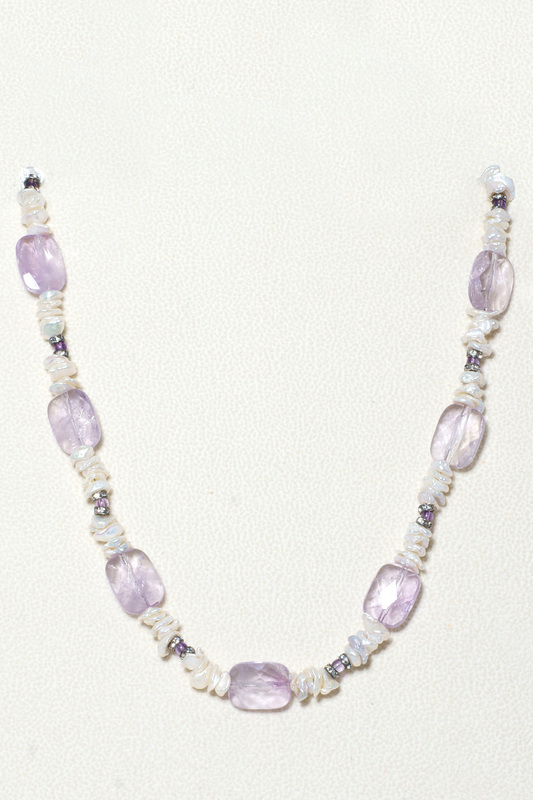 The necklace is finished with a vermeil toggle clasp. 20" in length. 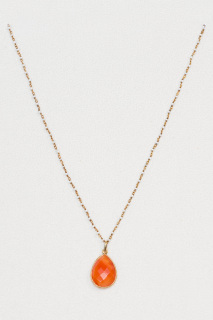 This faceted Carnelian teardrop is enhanced with a vermeil Bali bead and freshwater pearl. 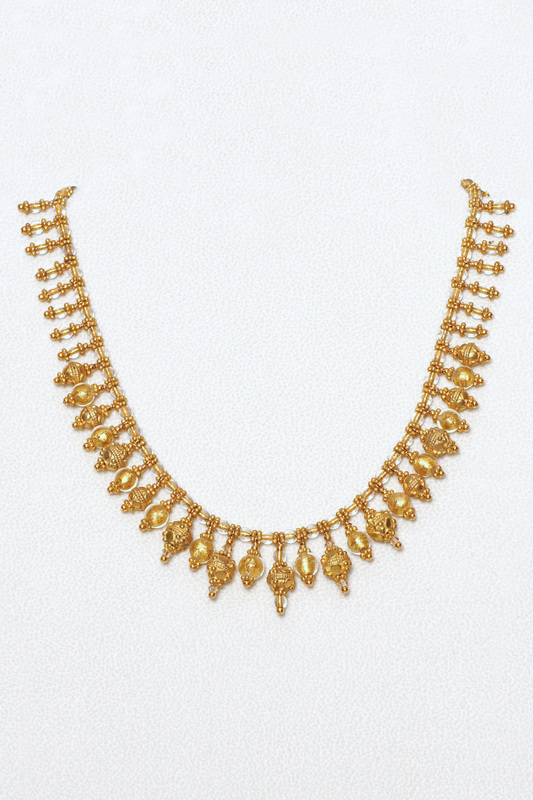 The textured filigree necklace is 14kt g.f. 18.75” in length. The faceted pyrite teardrop focal bead is enhanced with a sterling silver Bali bead. 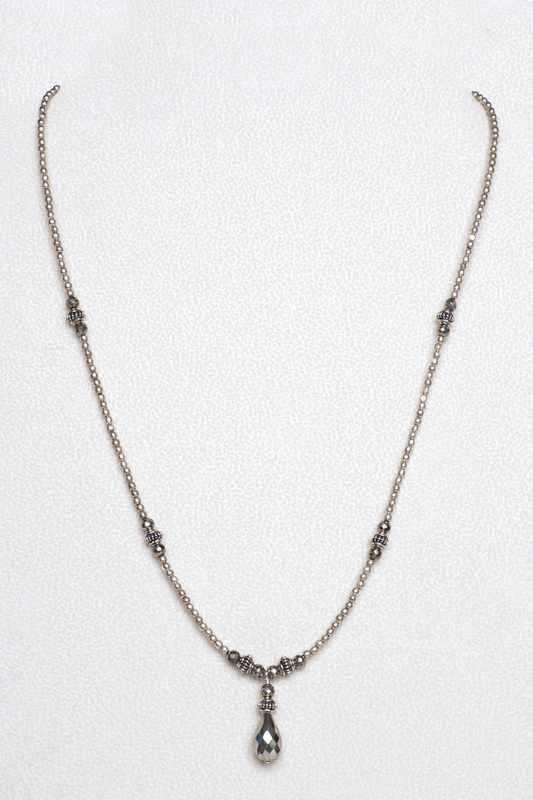 The necklace features silver beads with a matte finish, faceted pyrite beads and additional hand-crafted sterling silver Bali beads. 19" in length. Sterling silver lobster claw clasp. 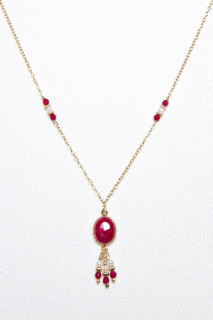 The faceted natural ruby in this pendant is set in a vermeil bezel. 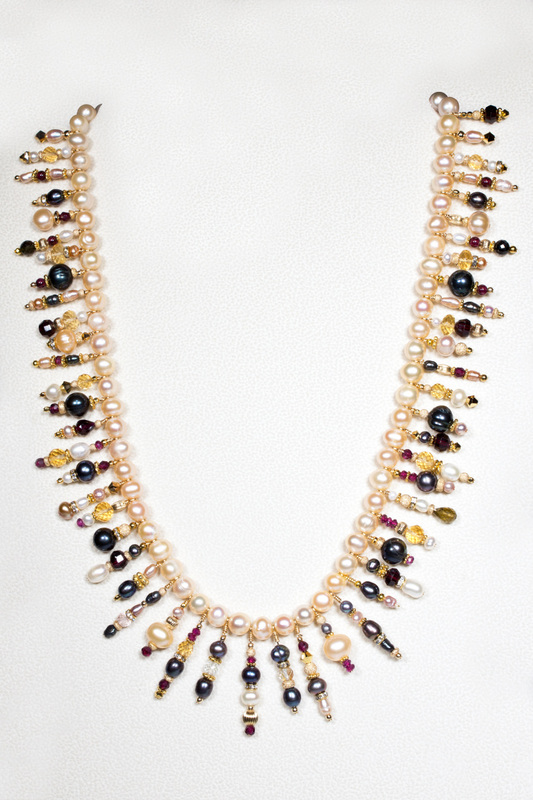 The dangles and chain stations are a combination of rubies, freshwater pearls and gold-filled beads. The chain and lobster claw clasp are 14kt gold-filled. 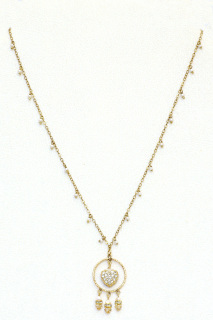 The chain is 19.5" in length, the pendant is 1.75" in length. 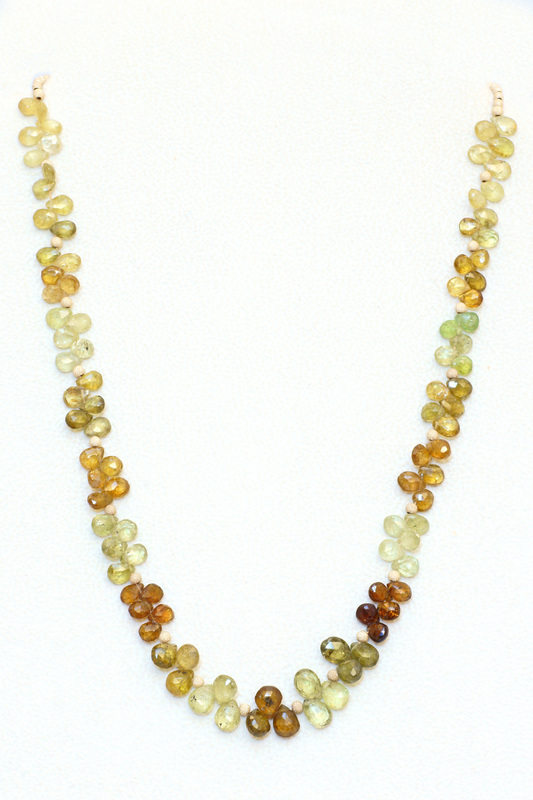 These faceted tourmaline hearts have a deep green color and wonderful clarity. 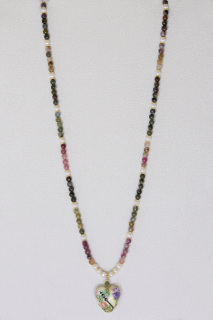 The necklace contains 38 heart-shaped tourmaline beads and four round tourmaline beads. 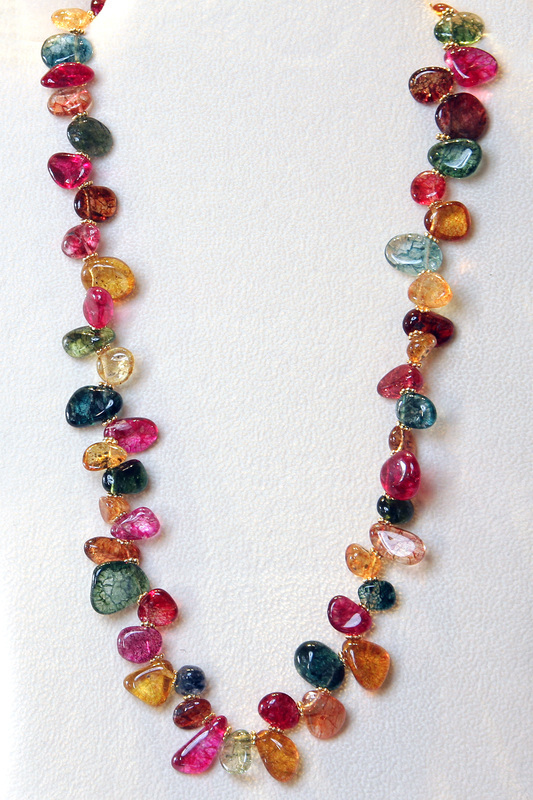 The pendant contains an additional five heart-shaped tourmaline beads fashioned into a cascade. Round white freshwater pearls and 14kt g.f. stardust beads complete the design. 14kt. g.f. twist toggle clasp. 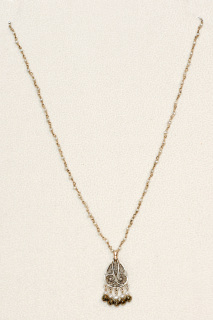 The necklace is 19.5" in length; the pendant is 1" long. 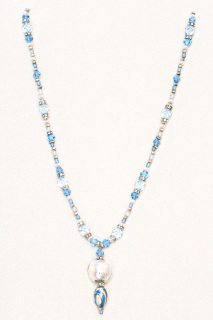 The Murano glass bead in this focal pendant is accented with Swarovski crystal, freshwater peals and crystal rondels. 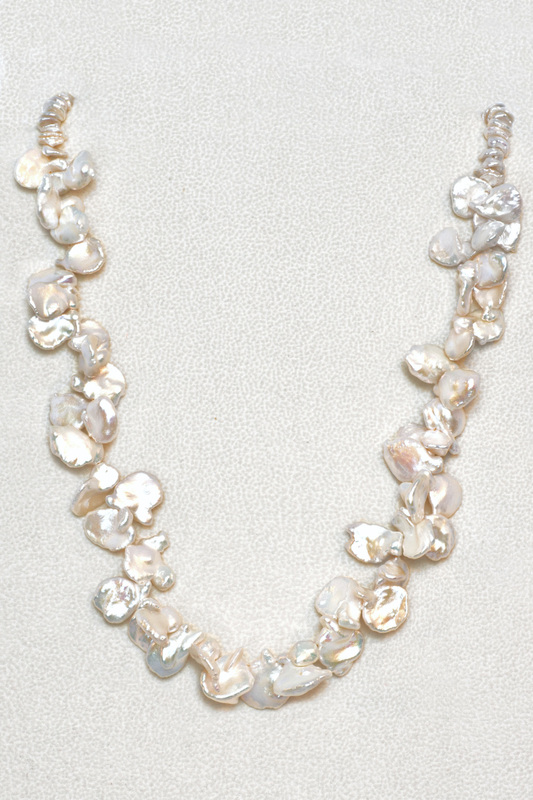 The freshwater pearls in the necklace are spaced with 22kt g.p. brushed nugget beads and gold-huedSwarovski crystal rondels. 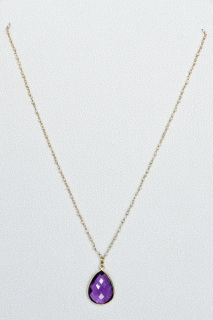 The necklace is 19.5" in length; the pendant is 1.75" in length. It is finished with a 14kt gold-filled lobster claw clasp. This necklace contains a rich combination of deep copper tone Murano glass, Bali beads, gold fluorite and amber. 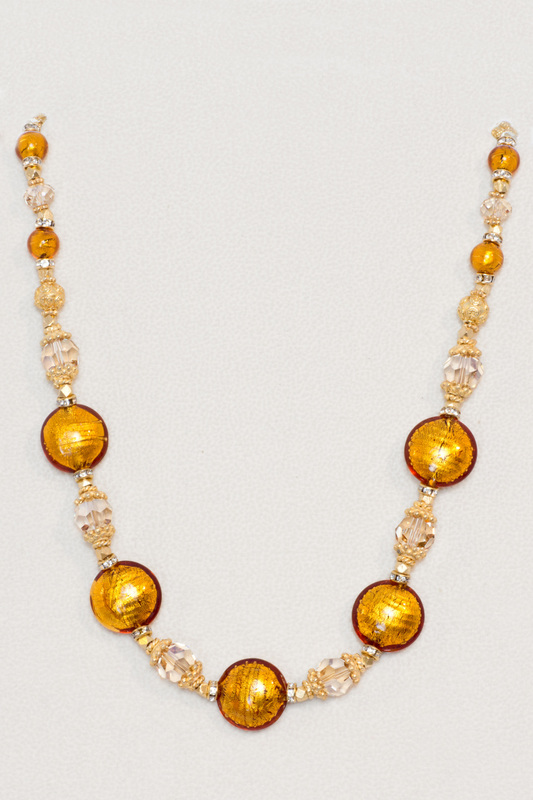 The Murano glass beads contain 24kt gold foil accents and are spaced by vermeil daisies and 22kt g.p. over copper Bali beads. The faceted rectangular fluorite beads are framed by gold and crystal rondels. 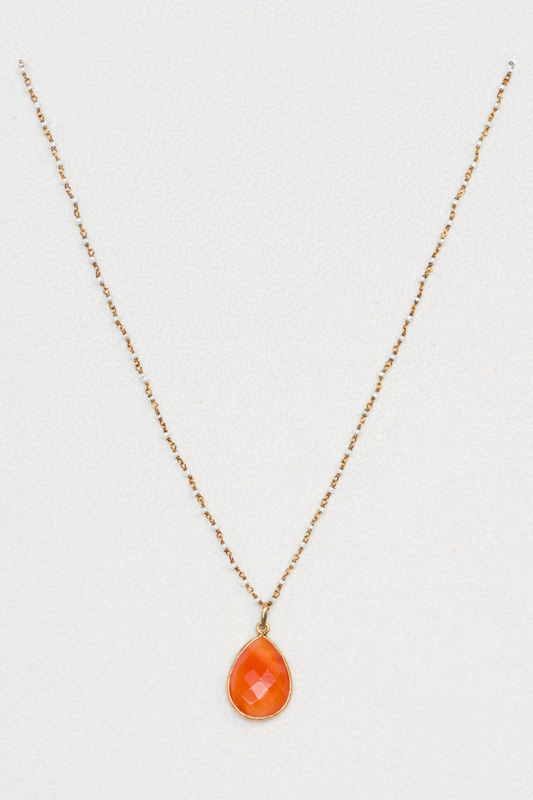 The 1.75” pendant contains rectangular and coin-shaped Murano glass with amber accents. Textured vermeil toggle clasp. 20” in length. This lemon quartz focal bead is microfaceted and measures 10mm x 15mm.The necklace is oxidized, textured sterling silver. Sterling silver lobster claw clasp. 19” in length. 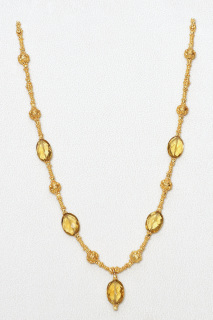 Faceted gold Swarovski fish crystals are enhanced with 14kt gold-filled stardust beads. The fancy crystals are set into a hand-wrapped vermeil and pearl chain, with tiny pearl chain dangles under the focal crystal bead. 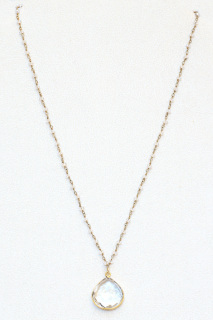 The necklace is 19.5" in length; the pendant is 1.5" in length. 14kt gold-filled lobster claw clasp. 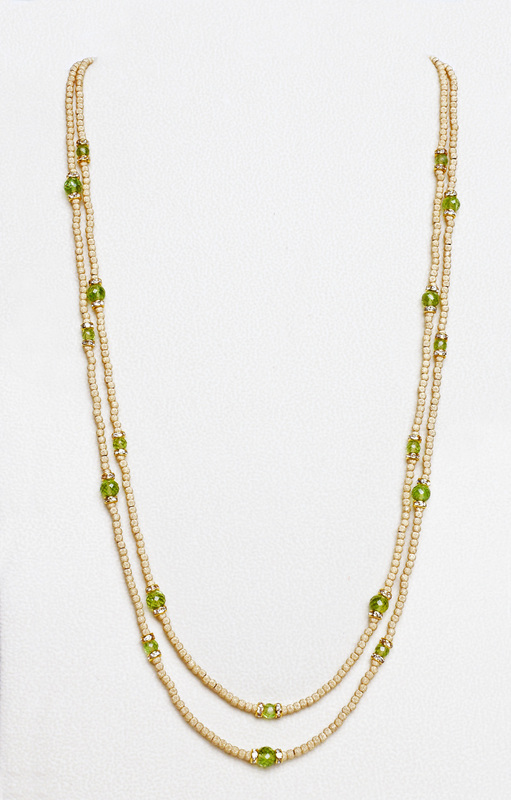 This double-strand necklace features faceted round peridot and 14kt gold-filled stardust beads. 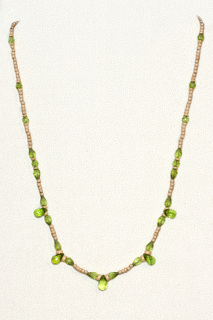 The peridot beads are framed by crystal rondels. The necklace is 25" in length; it is finished with a 14kt gold-filled twist toggle clasp. 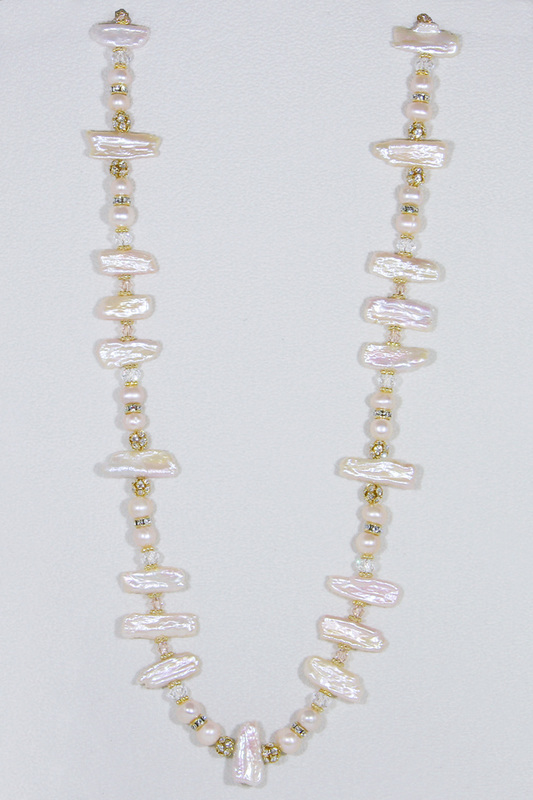 This necklace is beautifully-crafted with fresh water pearls of varying sizes and colors, gold roundels and beads set with crystals, gold rhinestone beads, and elegant heishi spacers. 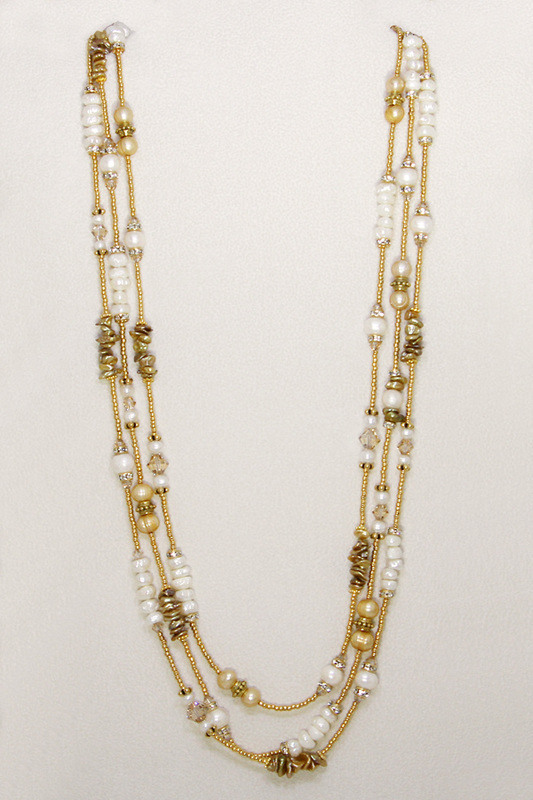 Each 28” strand is finished with a gold-filled toggle clasp. Price is for one strand. This delicate necklace features a faceted Swiss blue topaz teardrop. 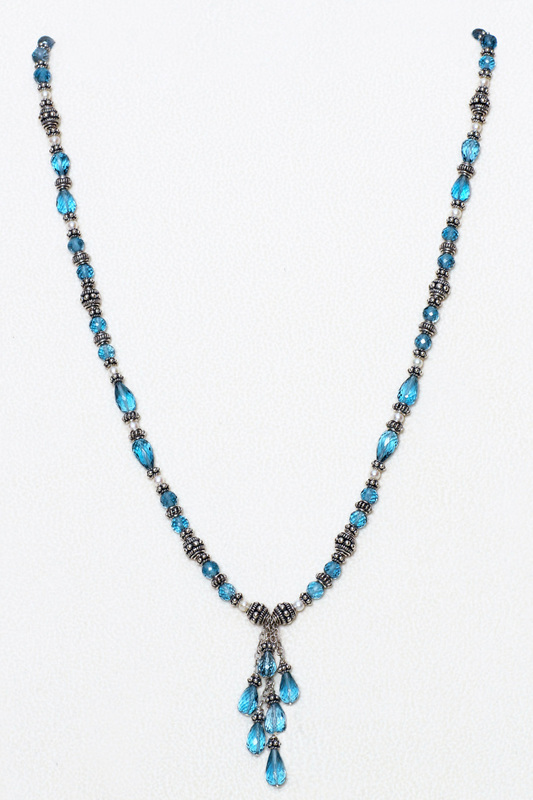 The 14kt g.f. filigree necklace contains six additional faceted blue topaz beads, each framed with 14kt gold-filled stardust rondels. 14kt g.f. lobster claw clasp. 18.75” in length. This elegant necklace features five 13mm x 10mm faceted blue topaz oval beads, each accented with gold rondels and freshwater pearls. 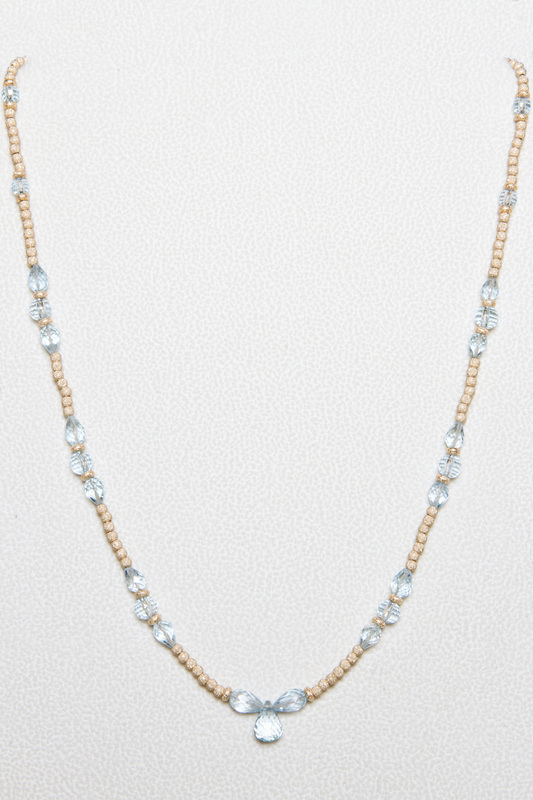 The topaz beads a spaced with 14kt g.f. stardust beads. 14kt g.f. lobster claw clasp. 19.25” in length. 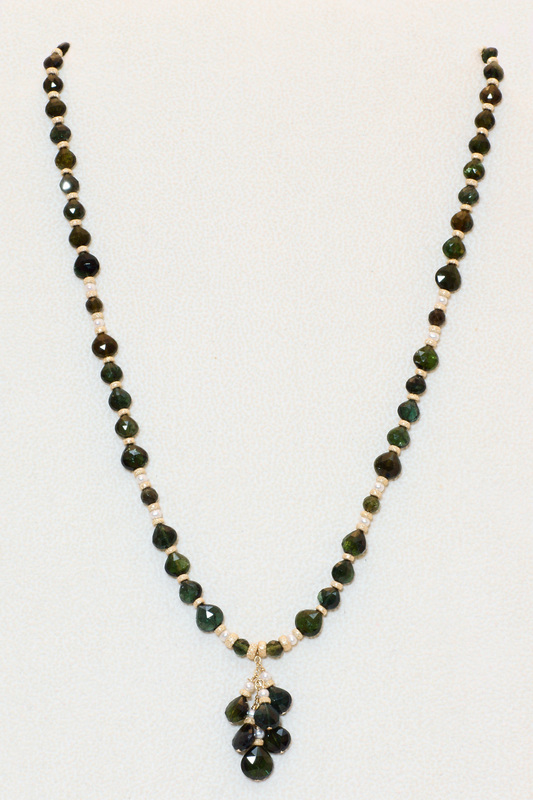 This green tourmaline faceted heart is enhanced with a 14kt g.f. rondel and freshwater pearl. The necklace contains 22kt g.p. 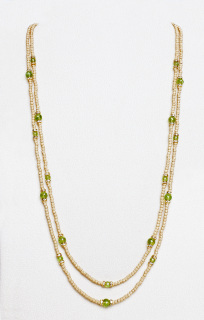 over copper beads with inset matching green tourmalines, freshwater pearls and gold rondels. 14kt g.f.lobster claw clasp. 19” in length. 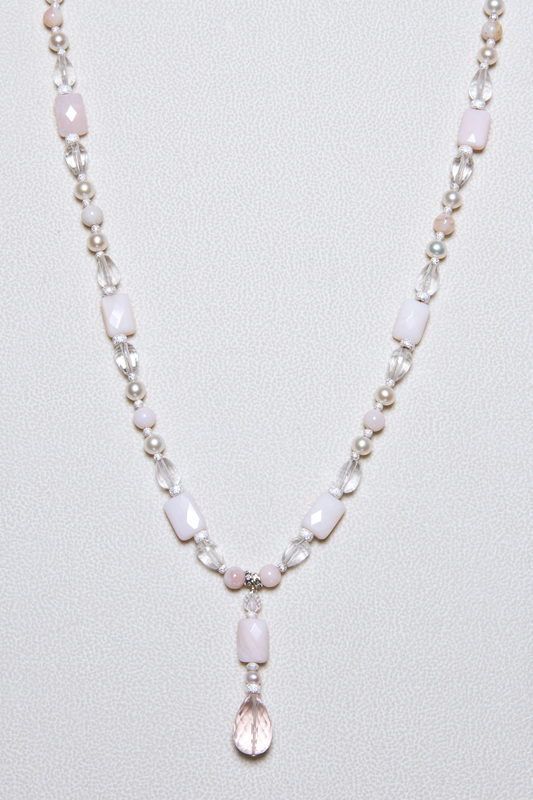 Faceted rectangular pink opals alternate with round pink opals, faceted rose quartz and freshwater pearls. The stardust beads and toggle clasp are sterling silver. Large teardrop rose quartz focal bead. 21.5" in length. 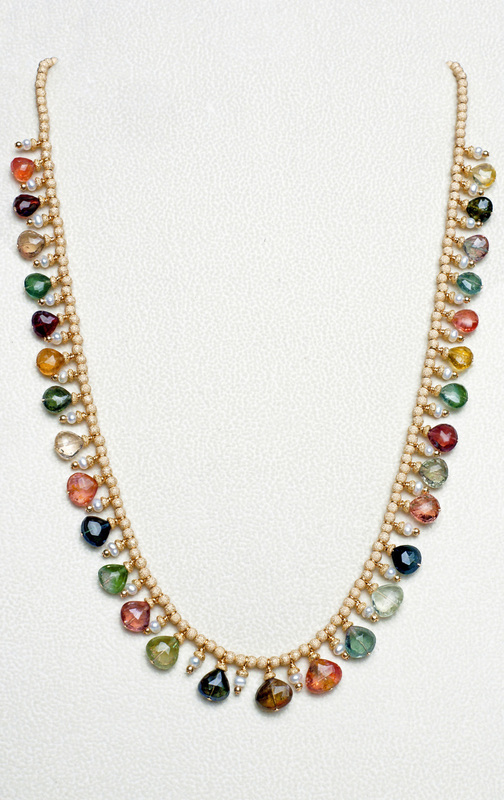 This 54" necklace can be worn as two or three strands. 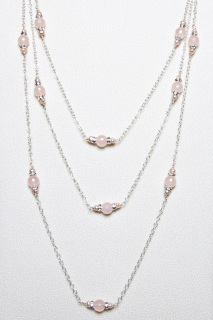 Sterling silver chain connects faceted rose quartz beads, soft pink freshwater pearls and silver rondels with crystals. Sterling silver lobster claw clasp. 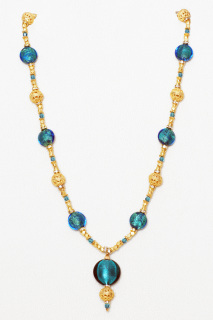 This necklace combines gold foil Venetian glass beads with ornate 22kt-gold overlay Bali beads for a rich look. 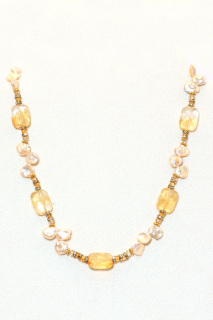 Citrines and gold-lined Czech druk beads add to the design. Each of the 55 pendants are spaced with high luster freshwater pearls and 22kt-gold overlay daisy spacers. Gold-filled twist toggle clasp. 16" length. Available in longer lengths. 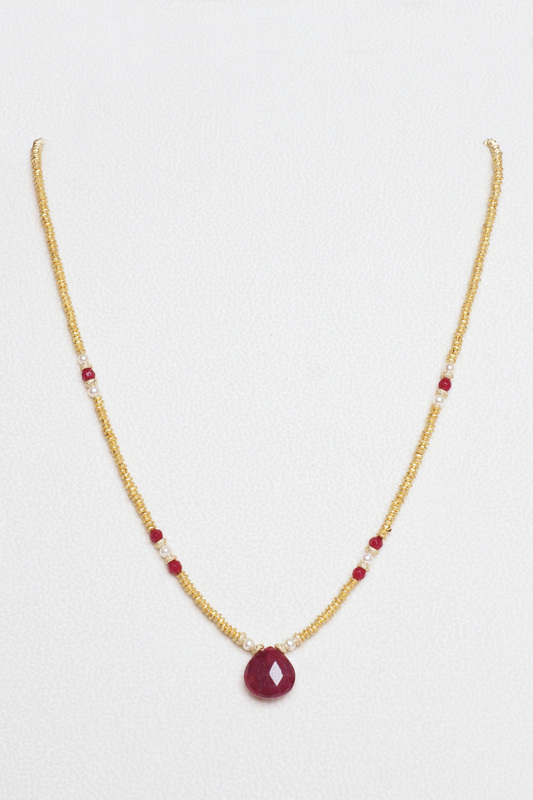 This natural faceted ruby is set in a sterling silver bezel. 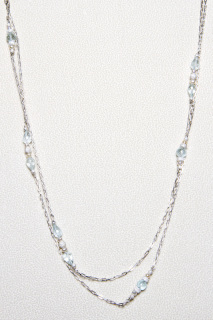 The double chain is sterling silver with natural crystal beads. Sterling silver lobster claw clasp. 19" in length. 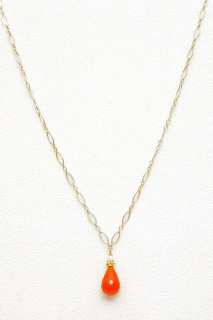 This faceted natural crystal quartz teardrop (26mmx20mm) is set in a vermeil bezel. 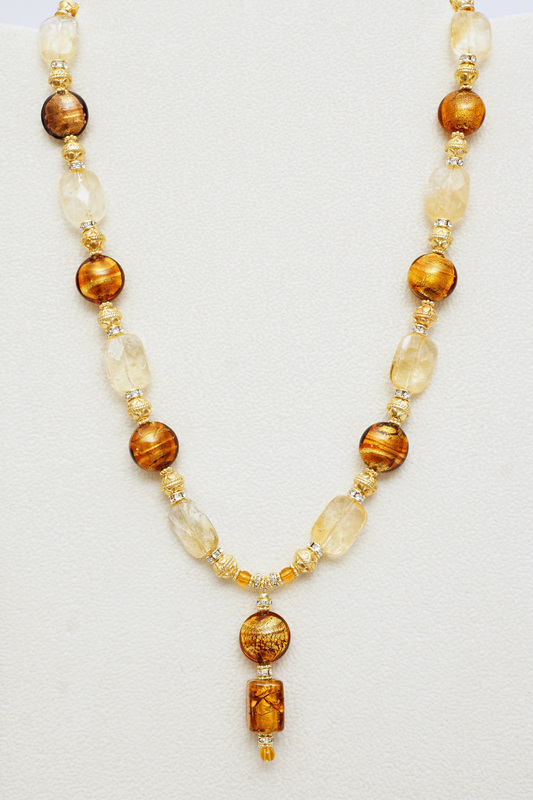 The 19" hand-made vermeil necklace contains faceted natural crystal quartz beads. 14kt gold-filled lobster claw clasp. 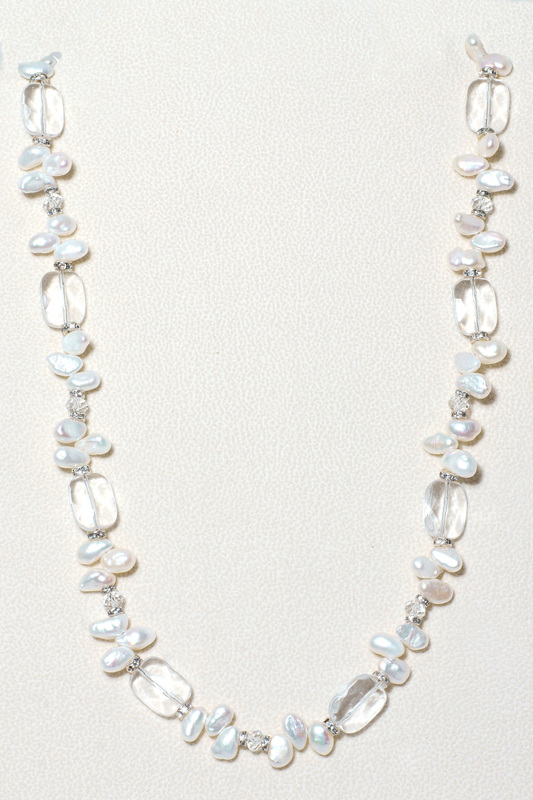 This double-strand necklace contains 4mm pearls connected with a heavy rhodium-overlay chain. The filigree bow and heart pendant features a cubic zirconium and is also finished with a heavy rhodium overlay. Sterling silver lobster claw clasp. The necklace is 16" length. 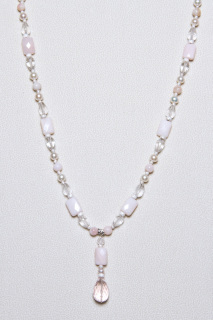 Perfect for a bride or a pretty white summer dress. Freshwater pearls support 47 pendants containing citrines, gold Swarovski crystals. 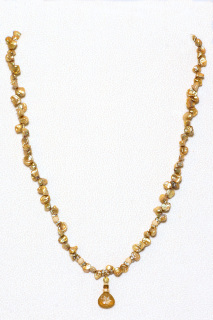 freshwater pearls and fancy gold beads. 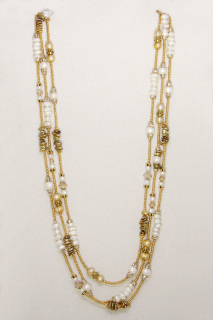 This 19" necklace is finished with an elaborate 24-kt gold vermeil clasp. Rectangular lilac fluorite crystals are spaced with heishi pearls and amethyst beads. 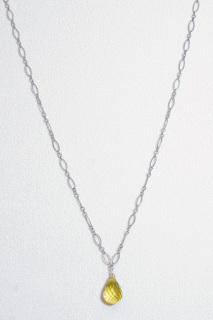 The 18” necklace is finished with a round sterling silver toggle clasp. 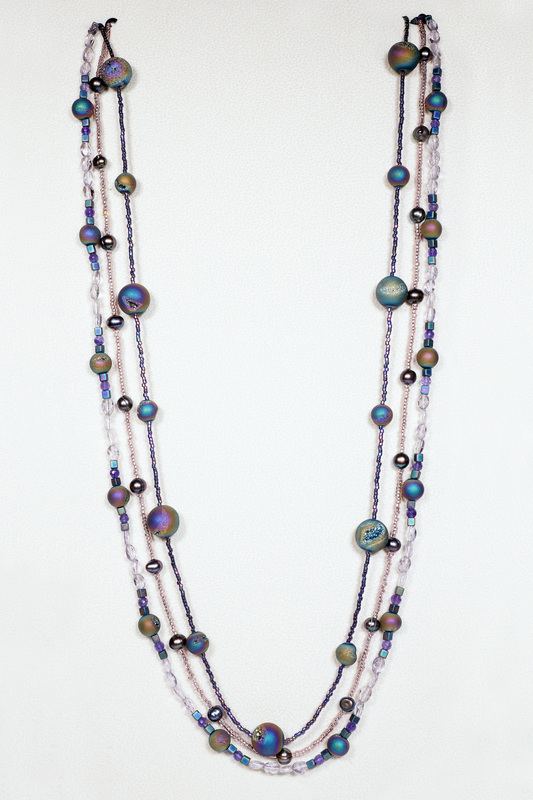 This double-strand necklace features an alternating pattern of faceted multicolor tourmalines and high luster petal pearls. The necklace contains over 100 tourmalines. 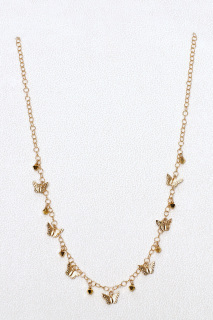 The necklace is 17.75" in length.It is finished with a gold vermeil toggle clasp with a flower motif. 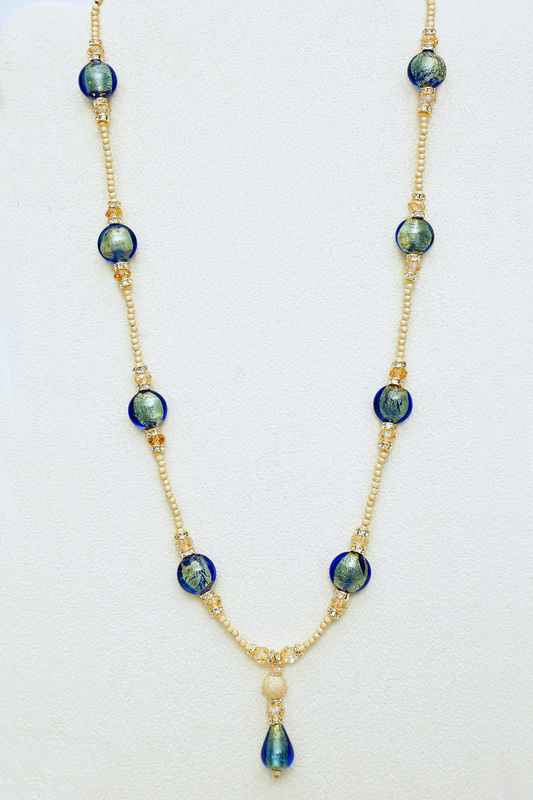 These Murano glass beads are accented internally with 24kt gold foil. 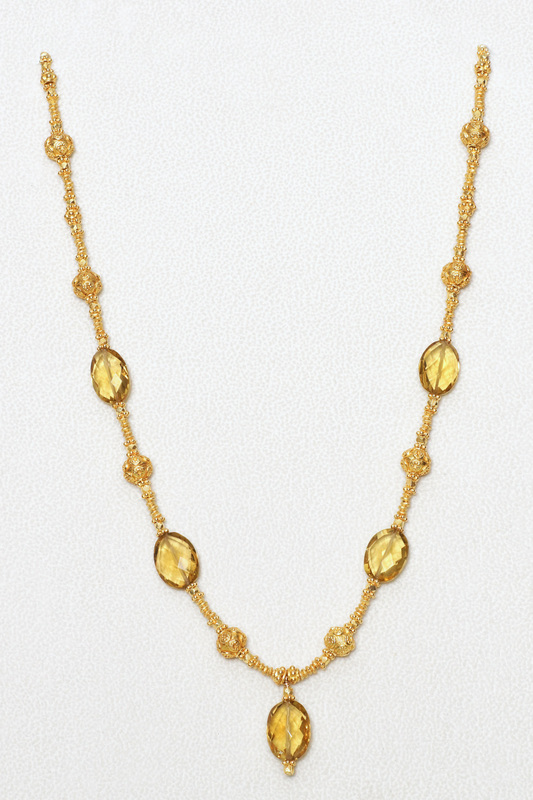 The coin-shaped glass beads in the necklace are each framed with gold rondels and Swarvoski crystals; they are linked with 14kt. g.f. stardust beads. The 1.5” pendant contains a teardrop-shaped bead accented with a larger 14kt g.f. stardust bead and Swarovski crystal. 14kt g.f. twist toggle clasp. 21.5” in length. Faceted tourmaline teardrops alternate with pendants containing brushed gold rondels and tiny freshwater pearls. The 80 hand-wrapped pendants are spaced with 22 kt gold overlay brushed rondels. 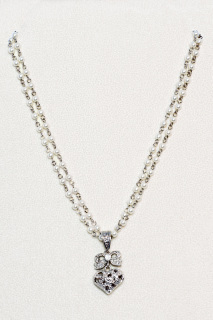 Vermeil toggle clasp with flower motif. 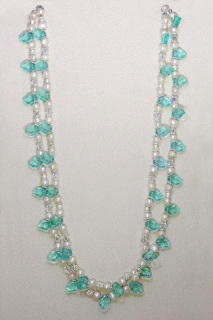 Necklace is 20" in length. 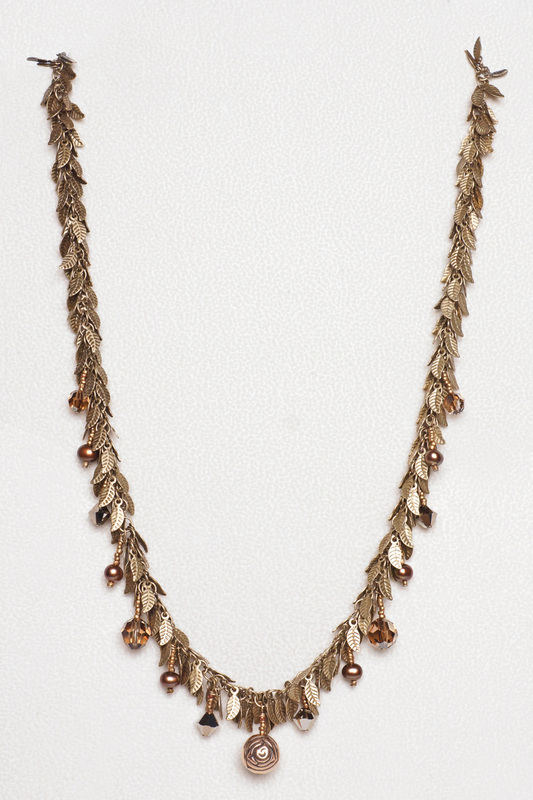 This brass leaf dangle necklace is enhanced with freshwater pearls, Swarovski crystals and a center bead with a pretty rose design. 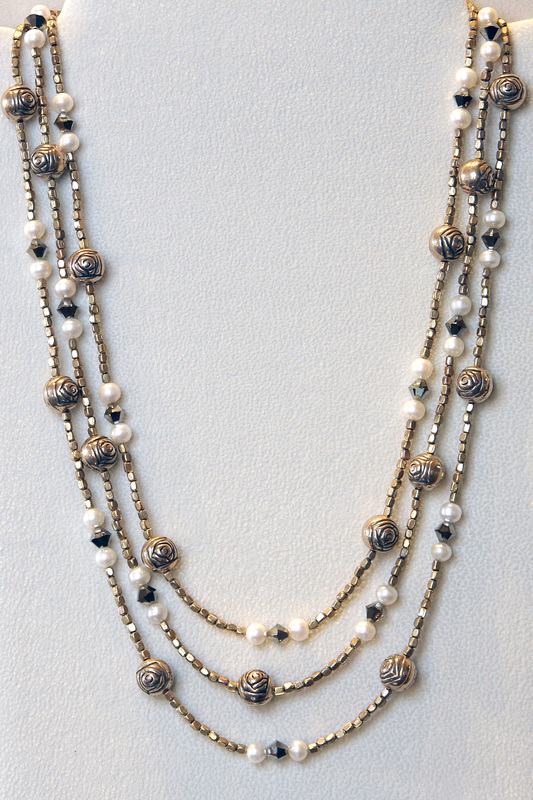 The necklace is 20" in length; it is finished with an antique brass toggle clasp. 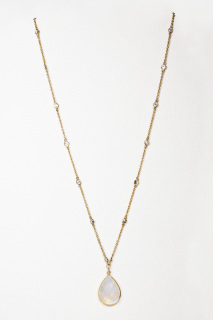 This pretty necklace features two gold and crystal pave beads, one round and one heart-shaped. Swarovski crystals, gold rondels and three strands of freshwater pearls complete the pendant. 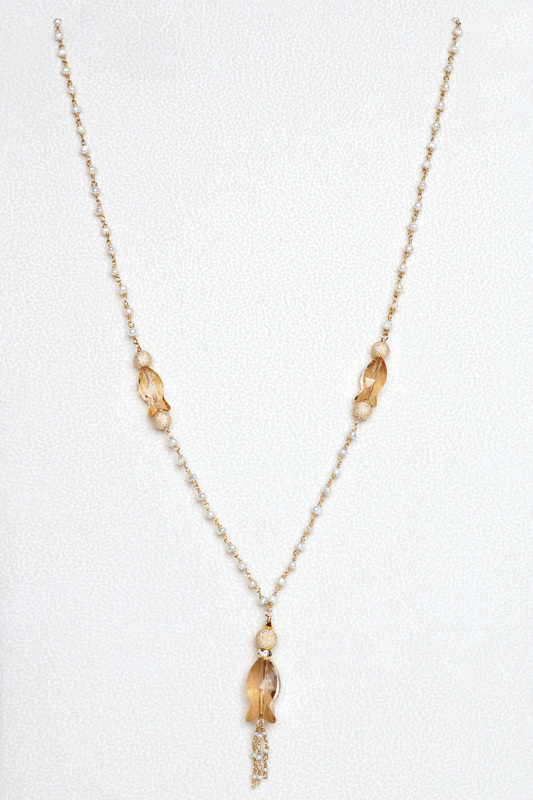 The gold vermeil necklace contains 4mm freshwater pearls. Gold-filled lobster claw clasp. 18" necklace plus 2.5" pendant. This necklace features a gold pave heart bead enclircled by a 14-kt gold-filled chandelier with three freshwater pearl and crystal dangles. The 16" necklace is gold vermeil with tiny freshwater pearls. 14kt gold-filled lobster claw clasp. 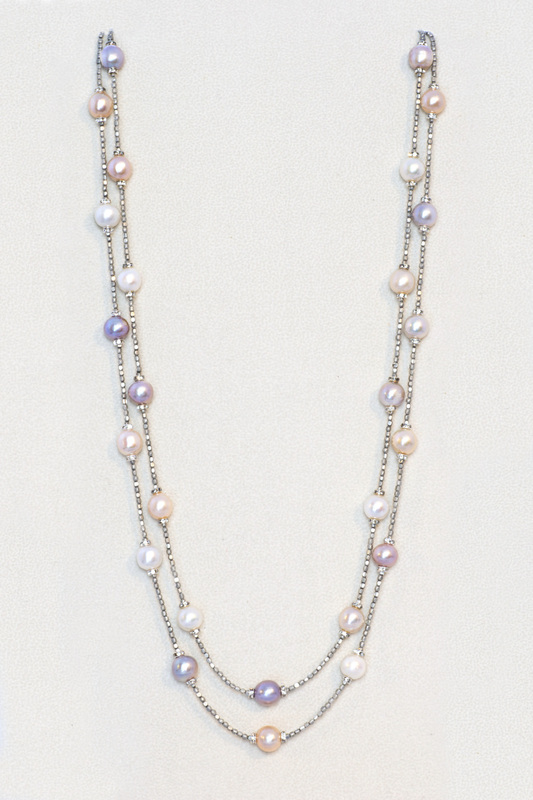 This sterling silver necklace features a delicate filigree pendant with freshwater pearl and faceted pyrite bead dangles. 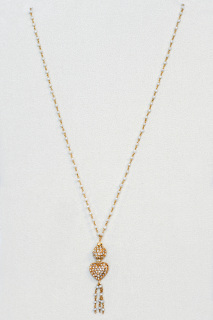 The pendant is 1" in length and the necklace is 16" in length. Sterling silver lobster claw clasp. 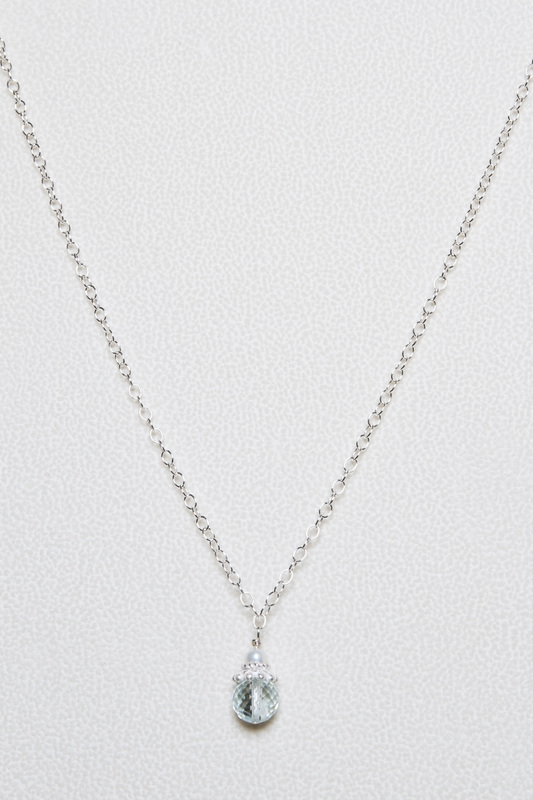 This natural aquamarine pendant is set in a sterling silver bezel. 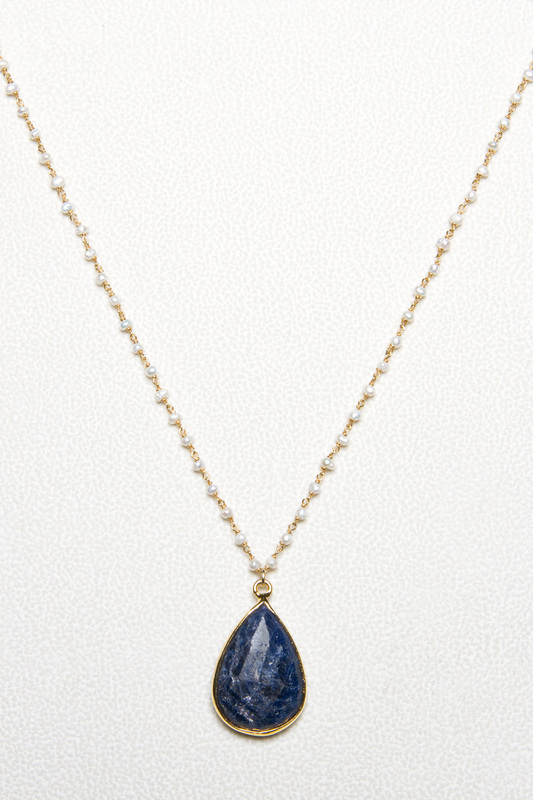 The pear-shaped stone is faceted and measures approx. 23mm x 16mm x 6mm. 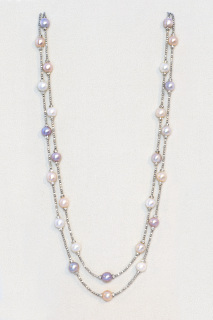 The 16" sterling silver chain contains tiny pearls. Sterling silver lobster claw clasp. 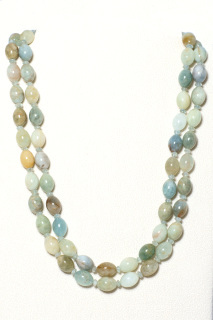 This necklace is also available with smaller aquamarine pendants. 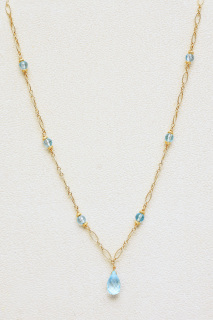 This faceted aquamarine nugget bead is accented with ornate gold vermeil beads. The chain and lobster claw clasp are 14kt.gold-filled. 18.75" in length. Microfaceted blue topaz teardrops are linked with 14kt gold-filled stardust beads for a soft and pretty look. 14kt gold-filled lobster claw clasp. 18" in length. 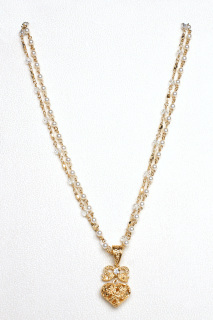 This 22kt-gold overlay filigree bow and heart pendant is 38mm in length and features a cubic zirconium. 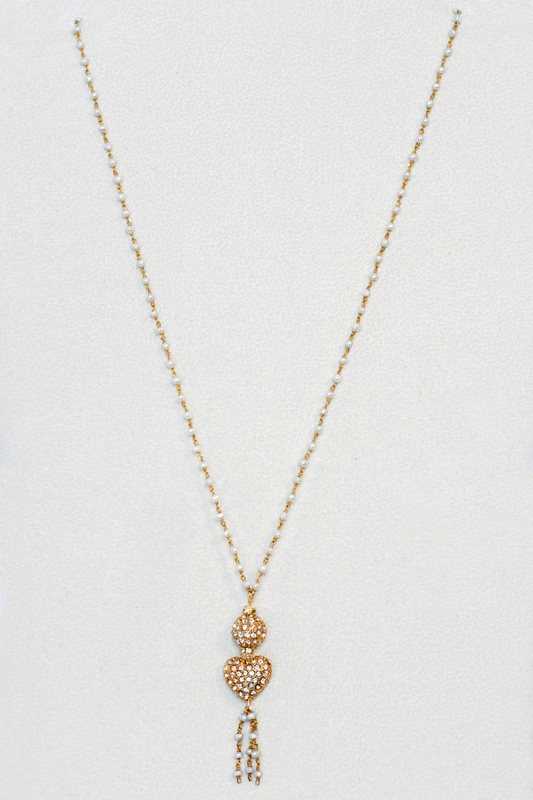 The pendant is supported by two 24kt.gold overlay chains; one strand features dangly freshwater pearls and the other contains Czech crystals. 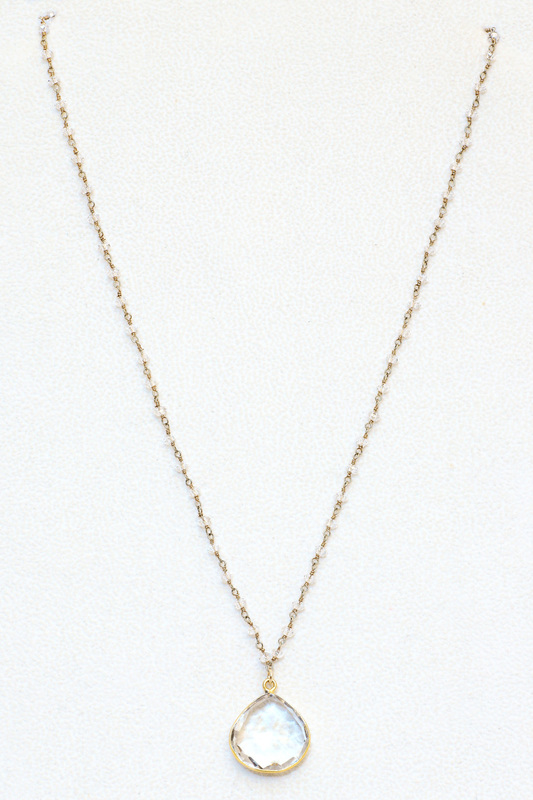 The necklace is 18" in length, plus the pendant. This necklace features a white twist Murano glass bead with a gold foil design. The 18-inch necklace is strung with 340 tiny 22-kt gold overlay brushed rondels and freshwater pearls. Gold-filled lobster claw clasp. Light gold rectangular fluorite crystals alternate with citrines and soft gold petal pearls with a beautiful luster. Tiny gold roundels embedded with crystals and gold daisy spacers add interest. 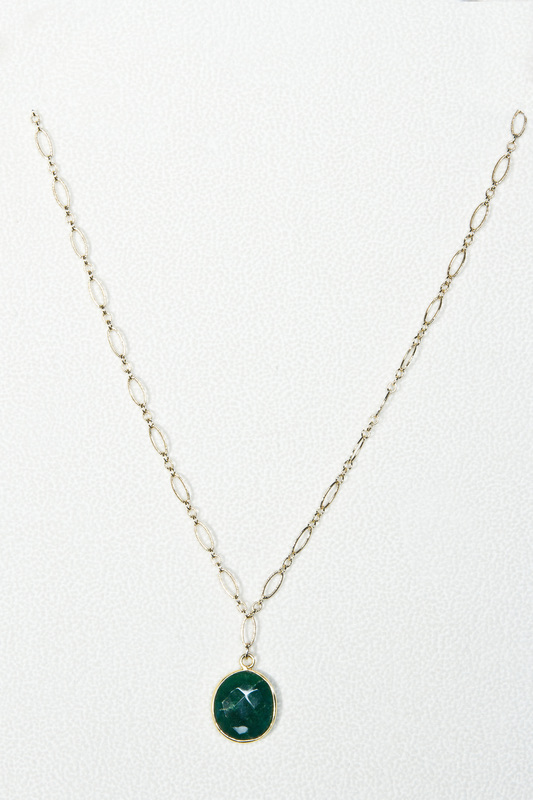 The 17” necklace is finished with a gold-filled twist toggle clasp. 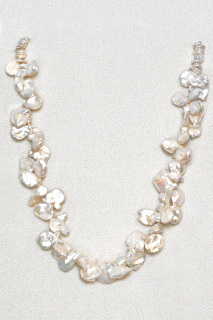 Gorgeous high-luster petal pearls are approx. 18mm wide. 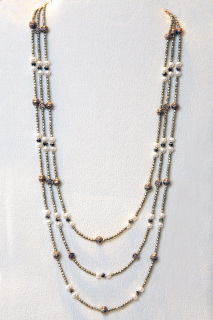 The necklace is finished with heishi pearls and a row of 14-kt gold-filled sparkle beads. 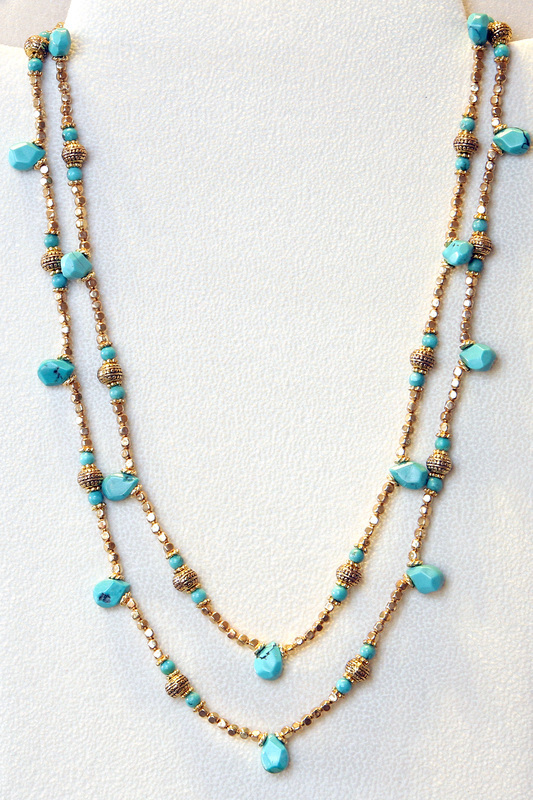 The 19” necklace is finished with a gold-filled twist toggle clasp. 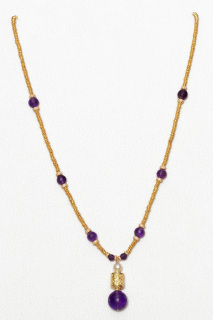 This faceted amethyst is set in a vermeil bezel. 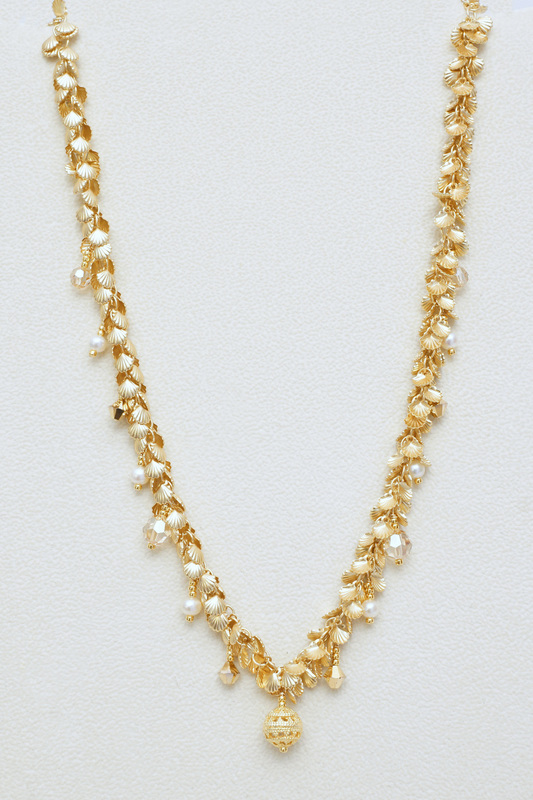 The vermeil chain contains freshwater pearls. 14kt gold-filled lobster claw clasp. 16.5" in length. 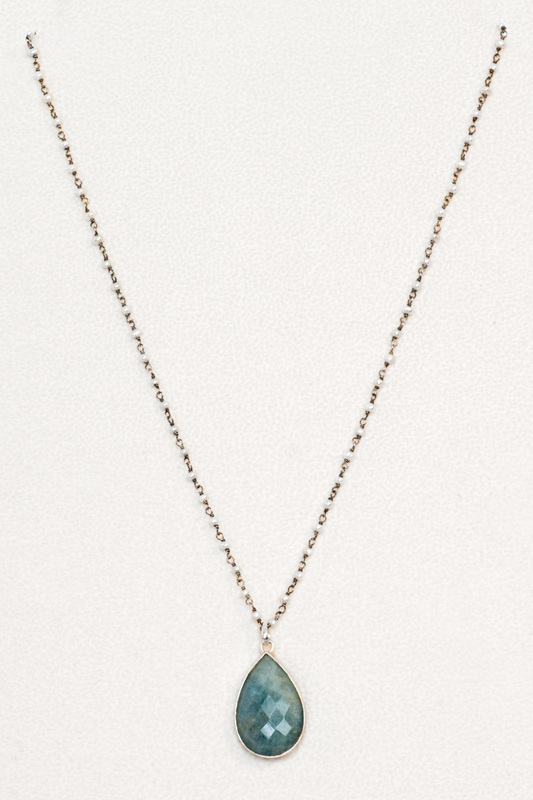 This faceted natural emerald is set in a vermeil bezel. 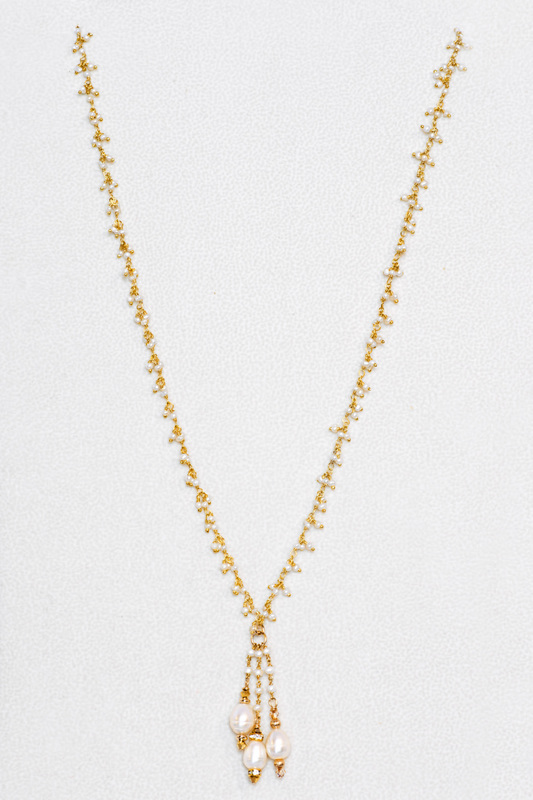 The textured chain is 14kt gold-filled. 14kt gold-filled lobster claw clasp. 16.75" in length. Three-stand antiqued gold bead necklace features fresh water pearls, metallic gold Swarovski crystals and gold beads with different flower bead designs. The strands are 19”, 21” & 23”. Gold-filled lobster claw clasp. Teardrop-shaped turquoise beads highlight this necklace. 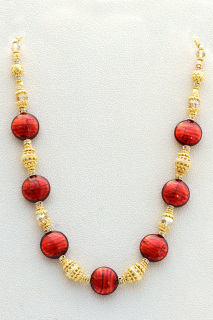 The gold beads add richness to the design. The longest strand measures 21”. Gold-filled lobster claw clasp. 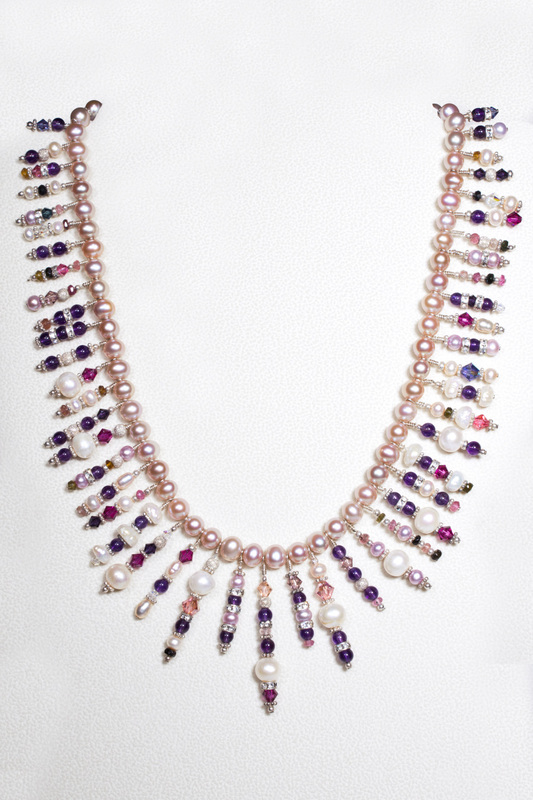 This 18-inch soft pink pearl necklace features 49 individually-wrapped sterling silver pendants, each containing sterling silver sparkle beads, sterling silver rondels, amethysts, tourmalines and crystals. Sterling silver toggle clasp. 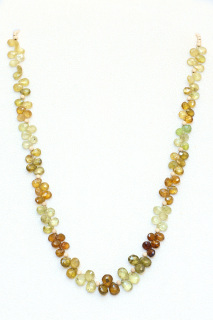 This necklace features high grade quartz nuggets polished to a smooth finish. The rich color of the nuggets are enhanced by gold heishi spacers. The 20.5” necklace is finished with a fancy gold vermeil toggle clasp. The two Murano glass beads that form the focal pendant are beautiful examples of Italian glass artistry. 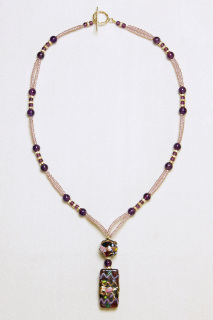 The two beads are linked by an amethyst and feature complementary designs. 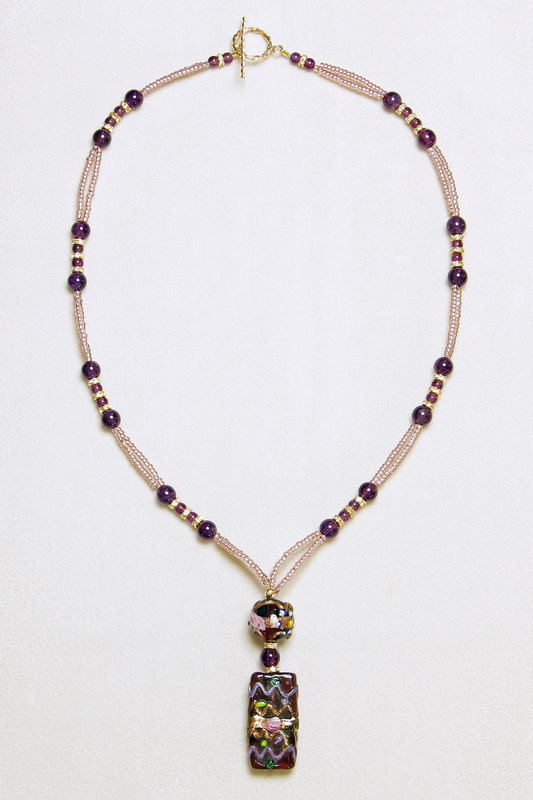 The pendant is supported by a double-strand of silver-lined amethyst seed beads which weave in-and-out-of lines of alternating amethyst beads spaced with gold roundels. The 19” necklace is finished with a gold-filled twist toggle clasp. This antiqued gold necklace is one continuous 67” strand, which can be draped in two or three strands. 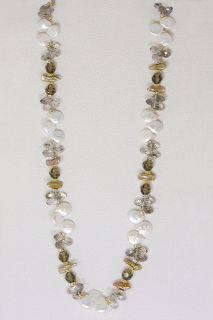 Fresh water pearls, metallic gold Swarovski crystals add interest to the rosebad design beads. Gold-filled lobster claw clasp. This pretty necklace features a charming lampwork bead pendant with a delicate flower and dragonfly design. 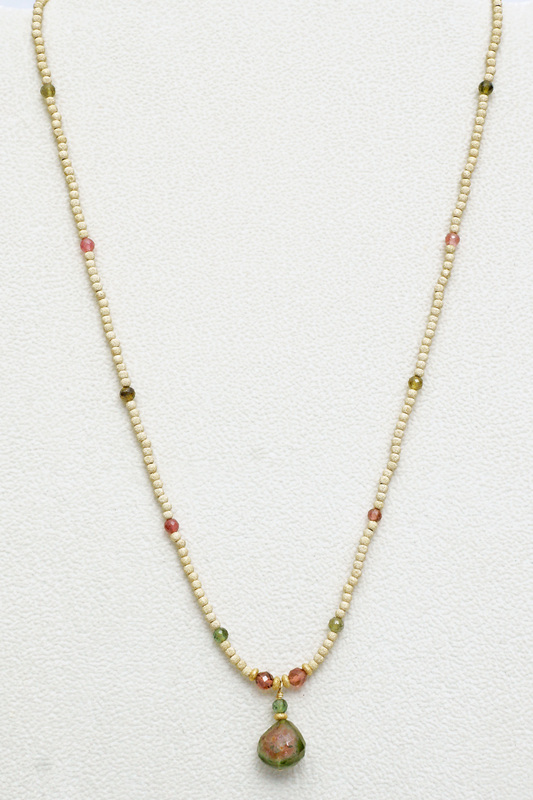 The colors in the bead are echoed by the 4mm round tourmaline beads, which are enhanced by gold beaded heishi spacers and fresh water pearls. 13mm gold-filled rope twist toggle clasp. 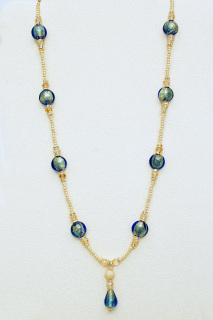 This 19 inch necklace features white coin pearls and teardrop sapphire blue crystals that shimmer with a subtle iridescent coating. Multi-faceted round crystal beads and silver rondels add an extra dimension. Sterling silver toggle clasp. 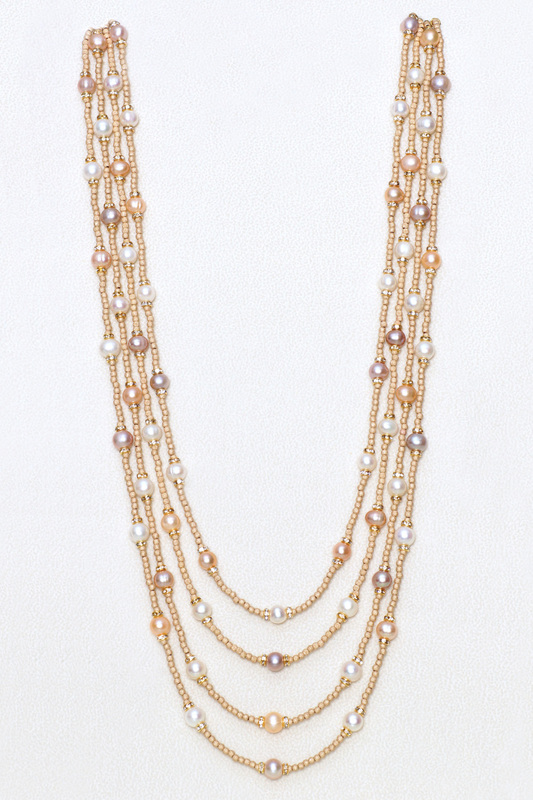 This 24.5 inch necklace features high luster stick pearls in a soft peach hue. Gold beads embedded with Czech crystals and multi-faceted Swarovski crystal rondels add sparkle. The rope twist design toggle clasp is gold-filled. 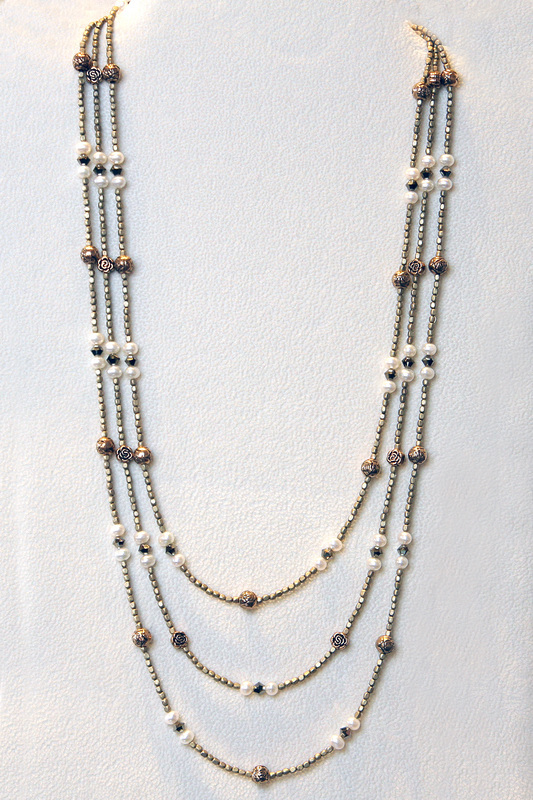 This elegant necklace features white coin pearls, smoky quartz teardrop crystals and gold stick pearls. 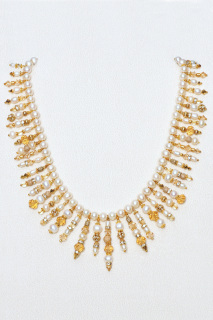 Gold rondels embedded with crystals add interest to the 24 inch necklace. The gold-filled toggle clasp is ornate. 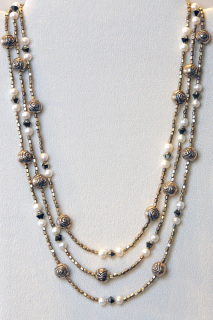 Three strand white and gold pearl necklace. 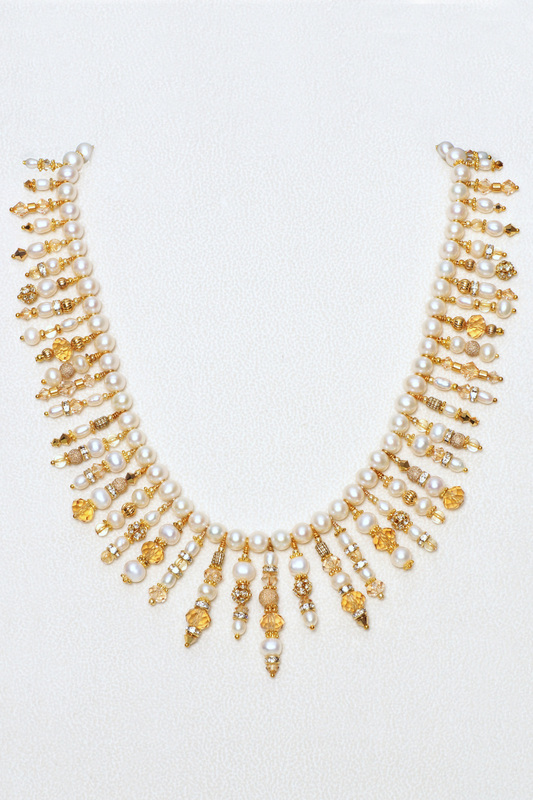 This 28 inch necklace contains gold and white petal pearls, gold rhinestone rondels, crystals, and gold seed beads. Gold vermeil toggle clasp. 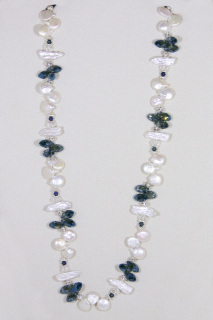 26 inch double strand pearl and art glass bead necklace. 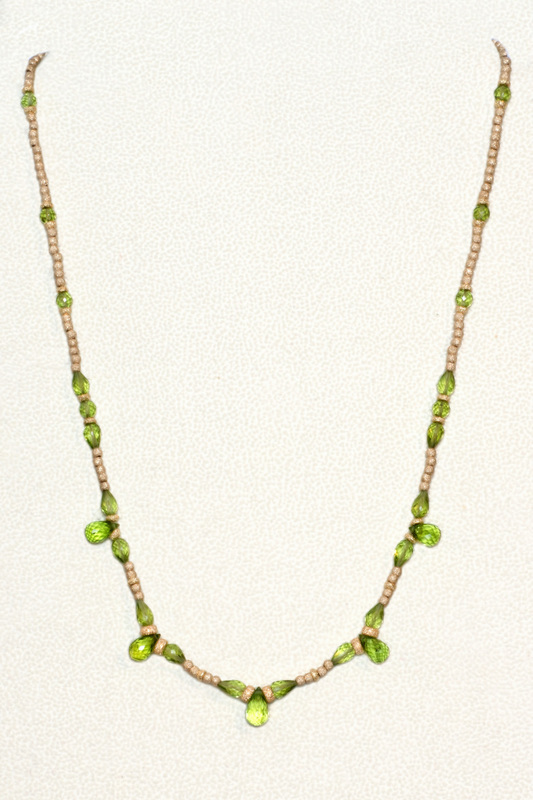 Glass beads are leaf shaped and turquoise colored. Sterling silver flower design toggle clasp.